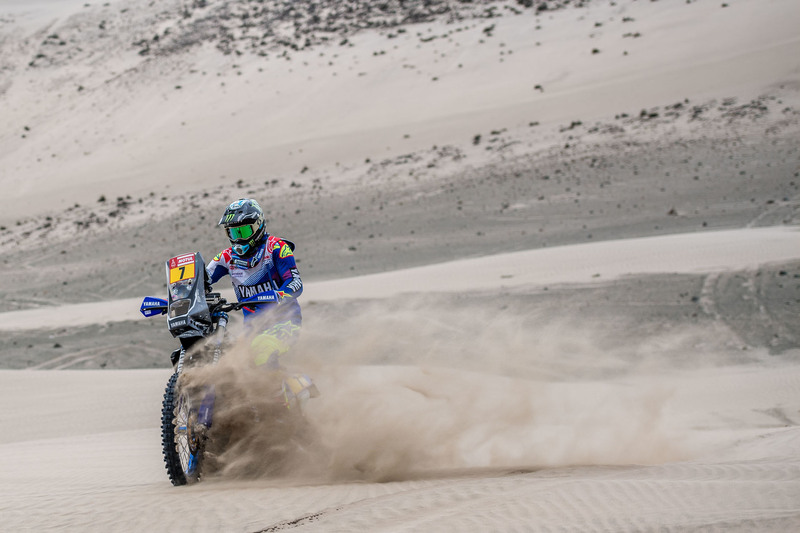 It’s a new year which means it’s time once again for the world’s most grueling off-road endurance race, the Dakar Rally. 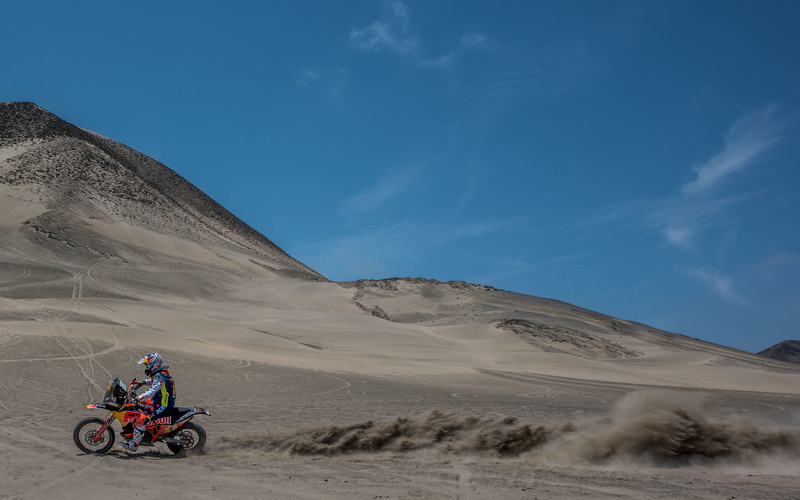 Celebrating its 40th edition, the 2018 Dakar Rally runs Jan. 6-20, starting in Lima, Peru, crossing into Bolivia with a rest day in La Paz, and then entering Argentina for the finish line at Cordoba. 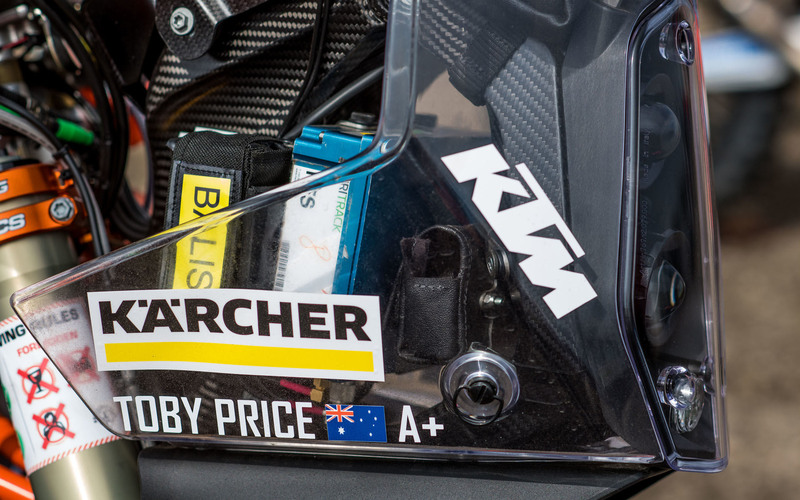 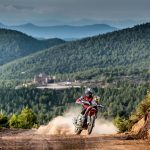 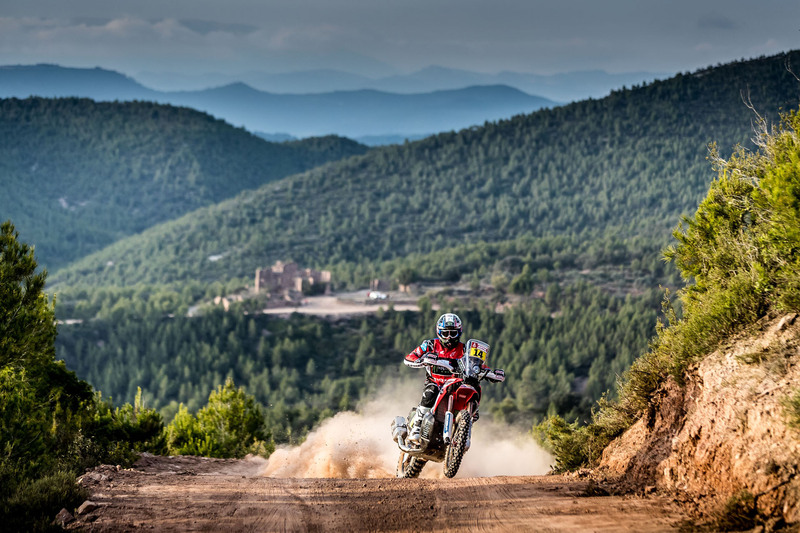 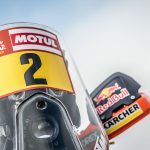 For motorcycle competitors, the rally spans nearly 5,157 miles (including 2,635 miles in timed special routes) spread across 14 stages, including two marathon stages where riders will not have access to their pit crews. 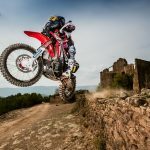 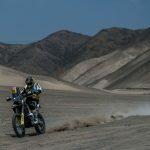 This year’s Rally will have five American riders: former AMA motocross and Supercross racer Andrew Short with the factory Husqvarna team, factory Honda racer Ricky Brabec, Baja racer Mark Samuels on a Honda-backed satellite team, Baja racer Shane Esposito on a KTM and privateer Bill Conger on a Husqvarna. 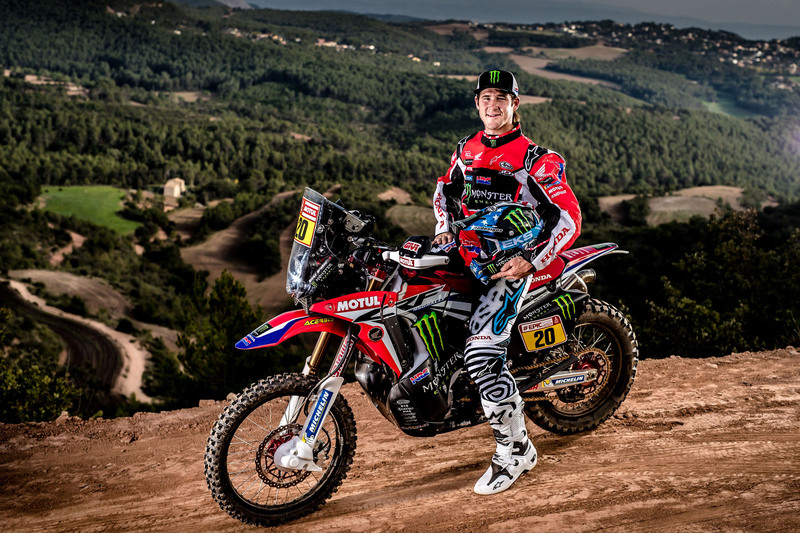 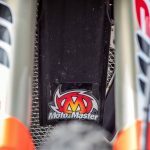 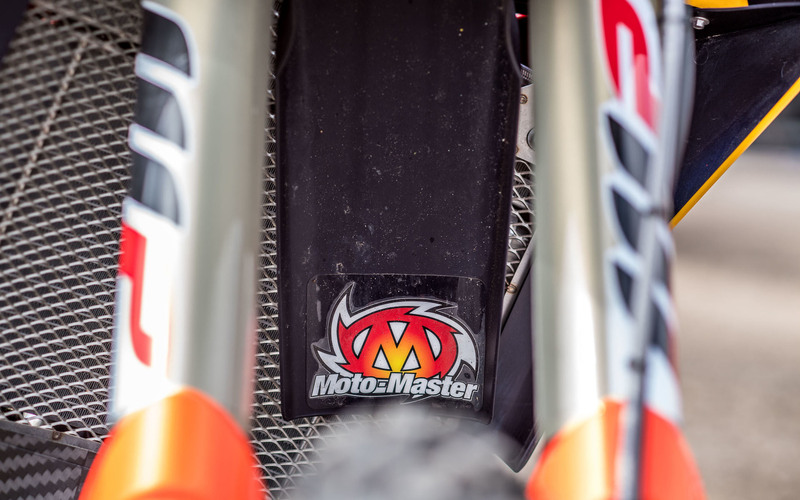 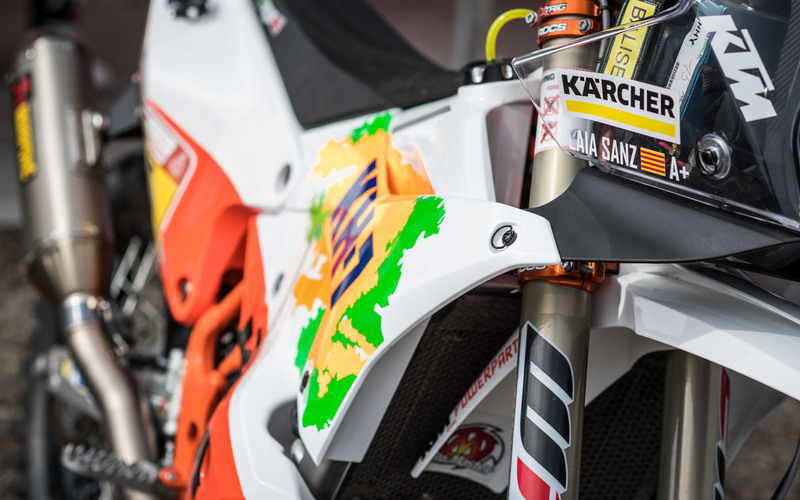 2016 Dakar Rally winner Sam Sunderland will carry the #1 plate. 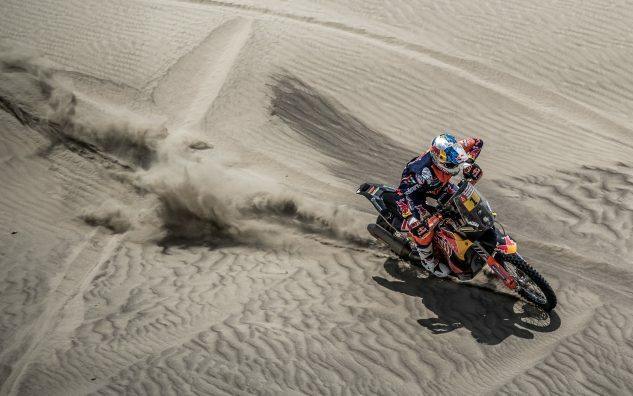 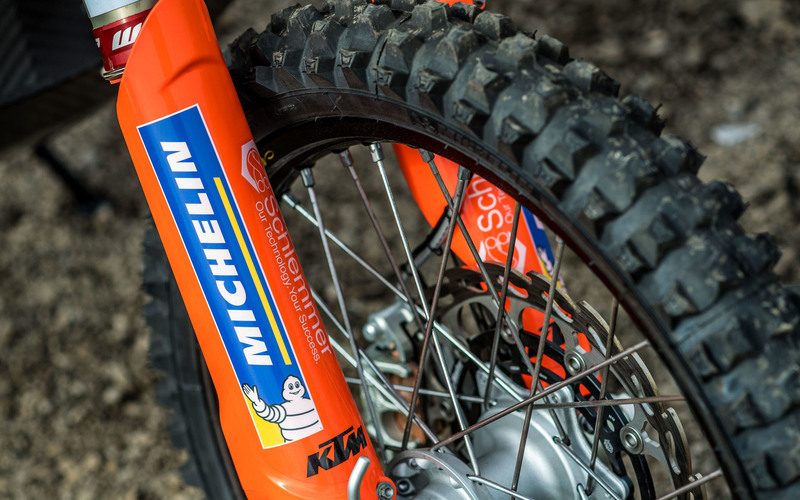 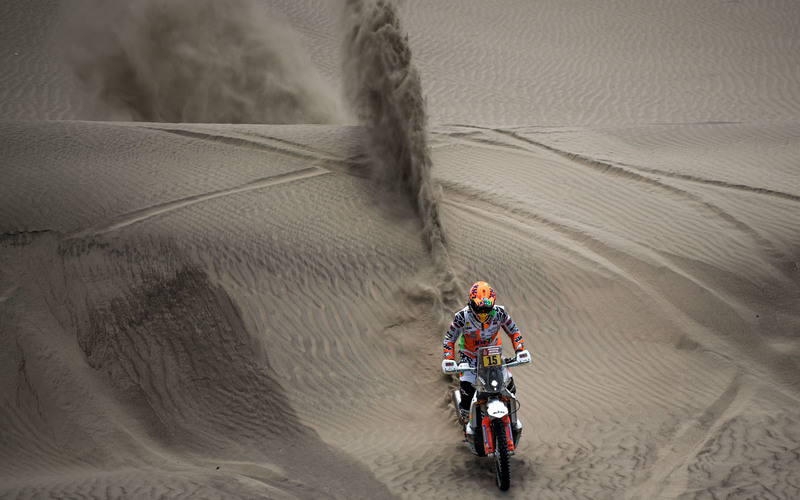 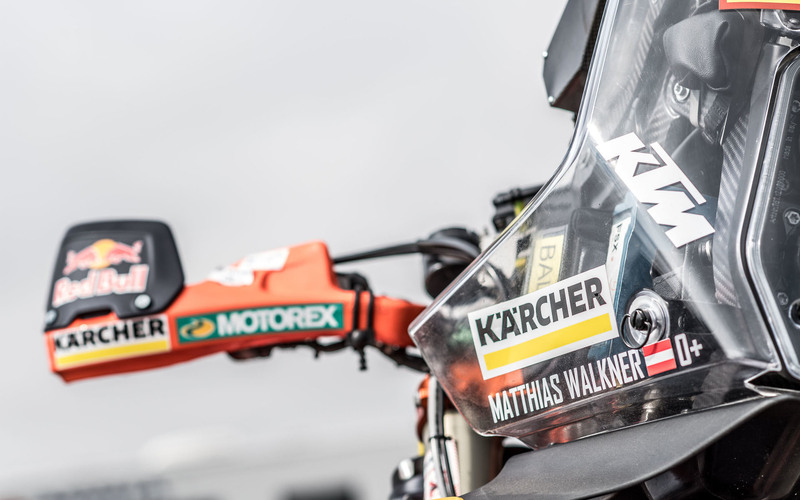 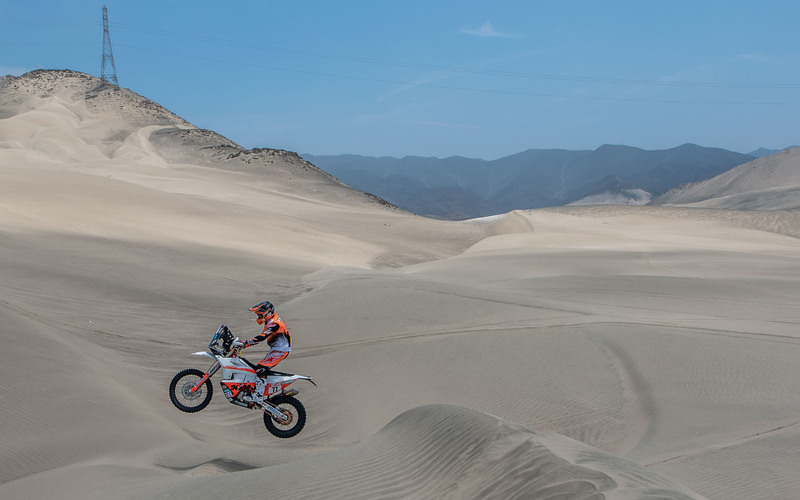 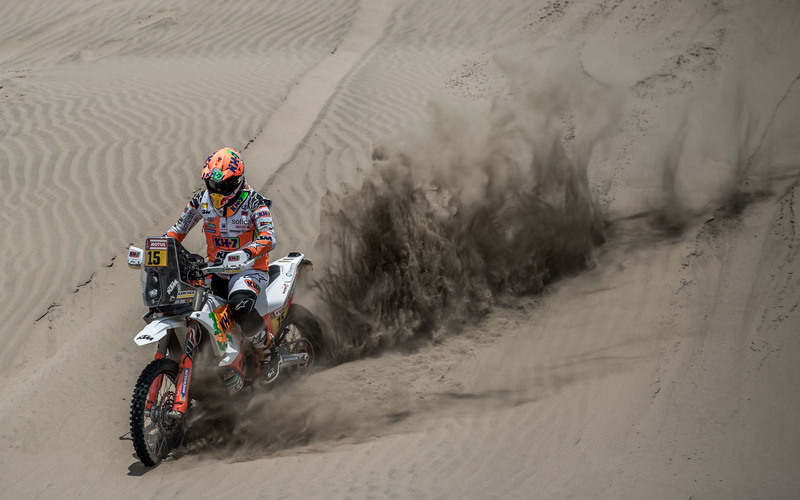 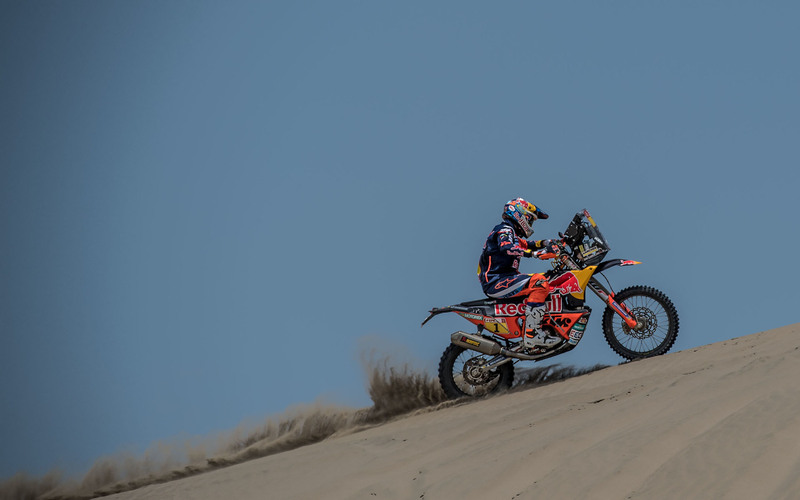 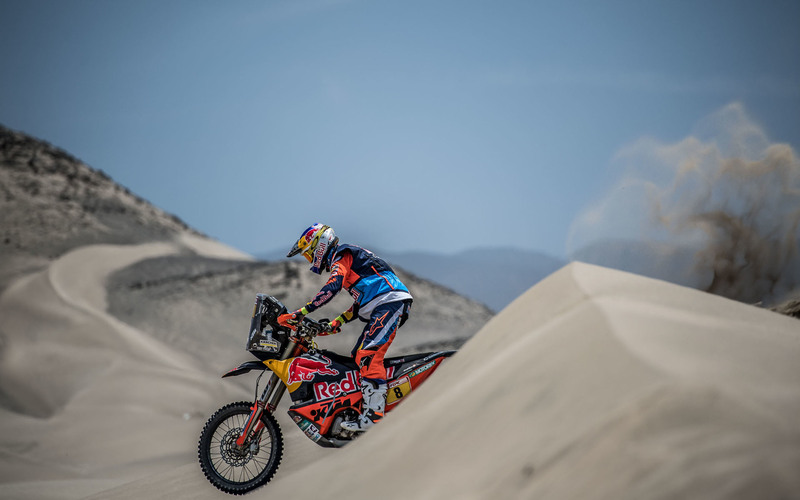 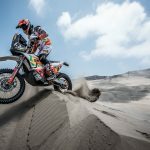 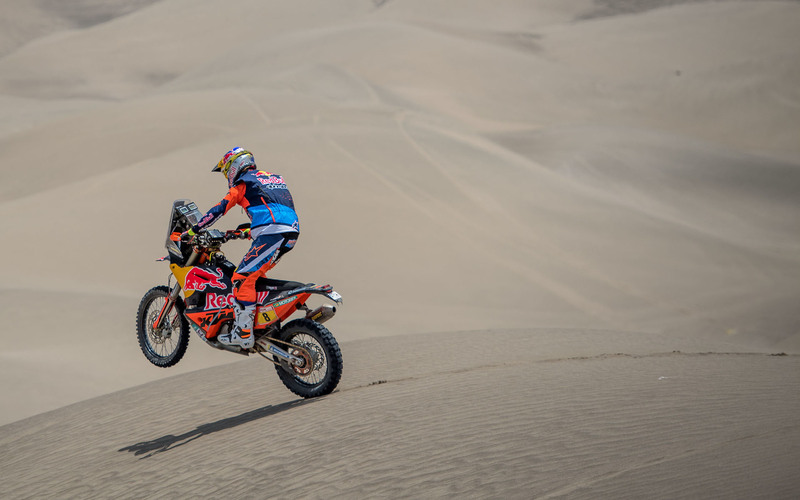 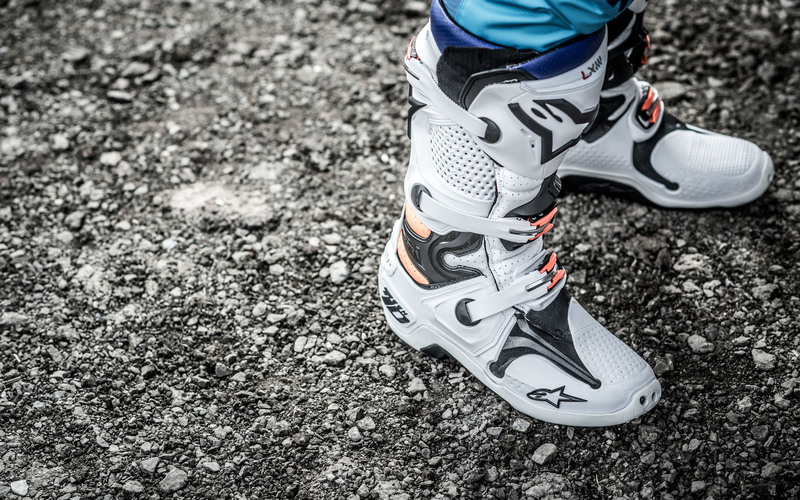 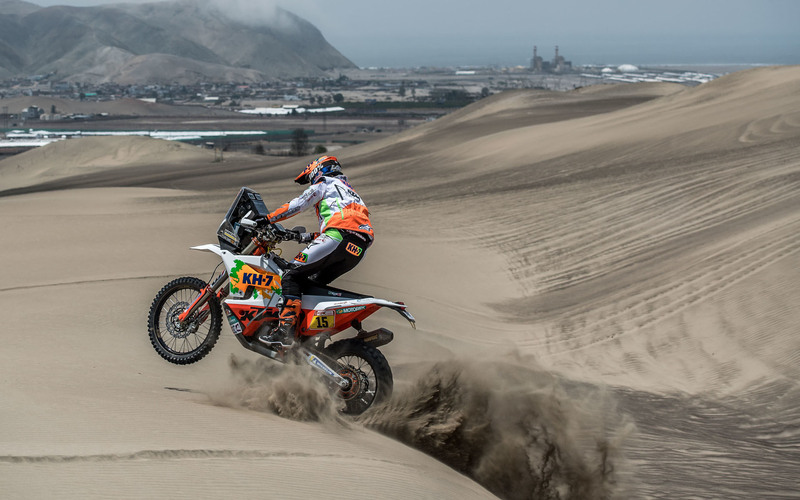 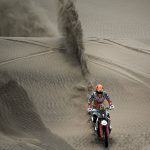 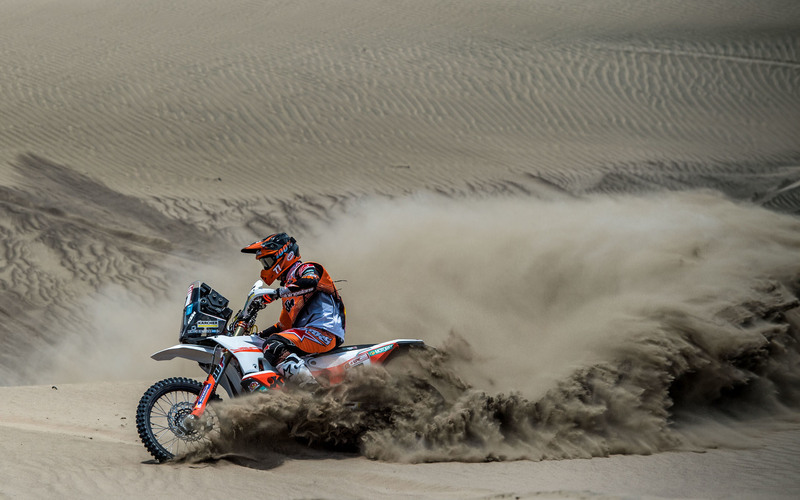 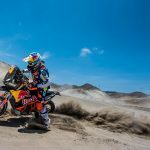 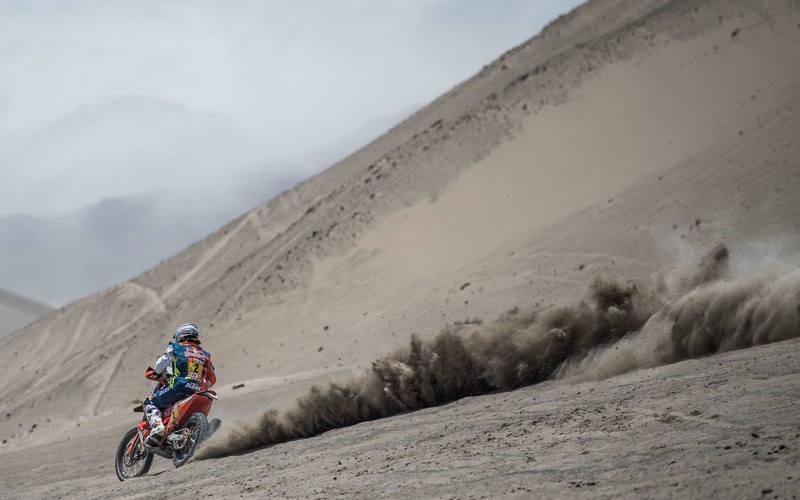 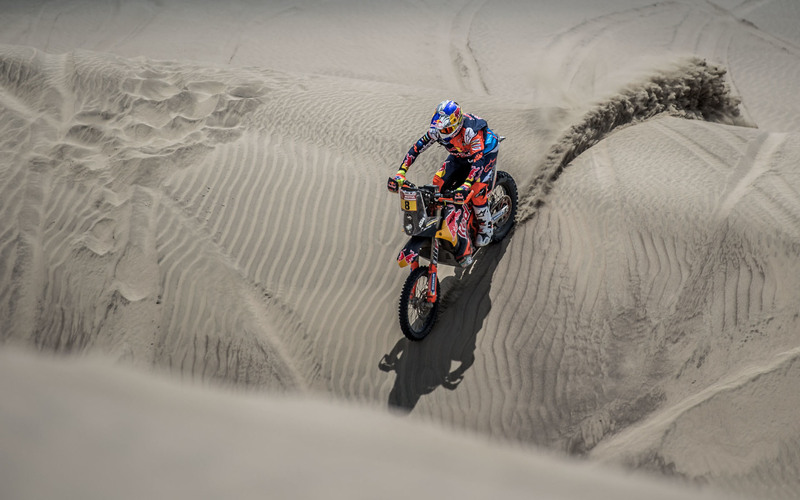 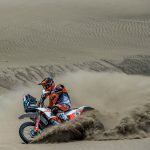 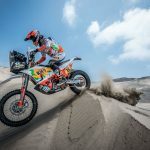 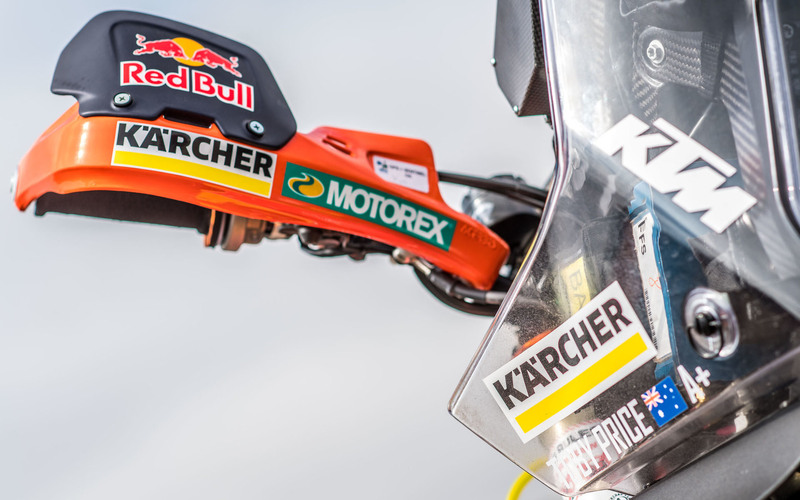 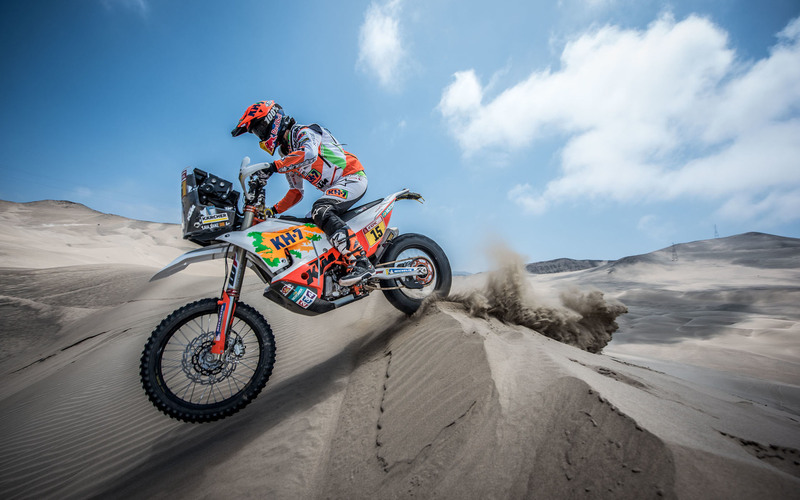 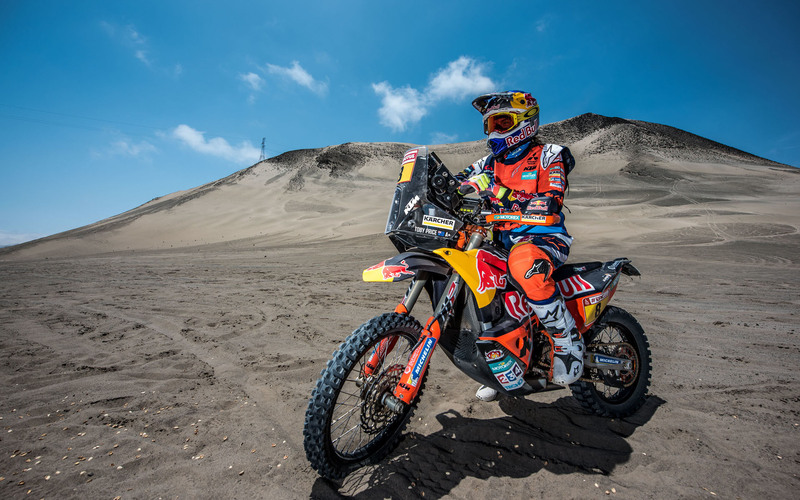 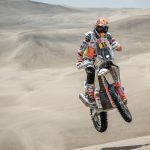 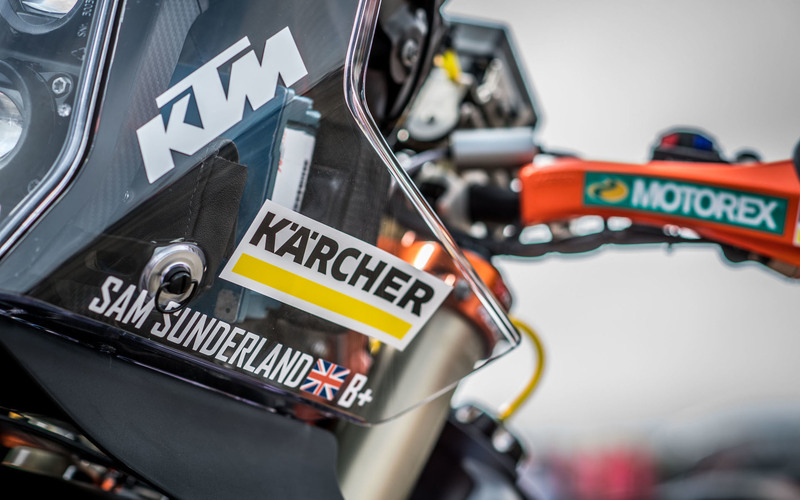 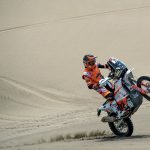 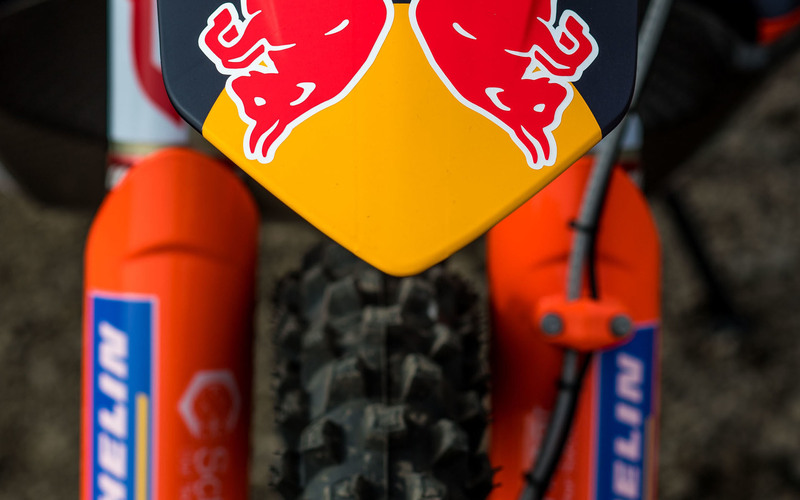 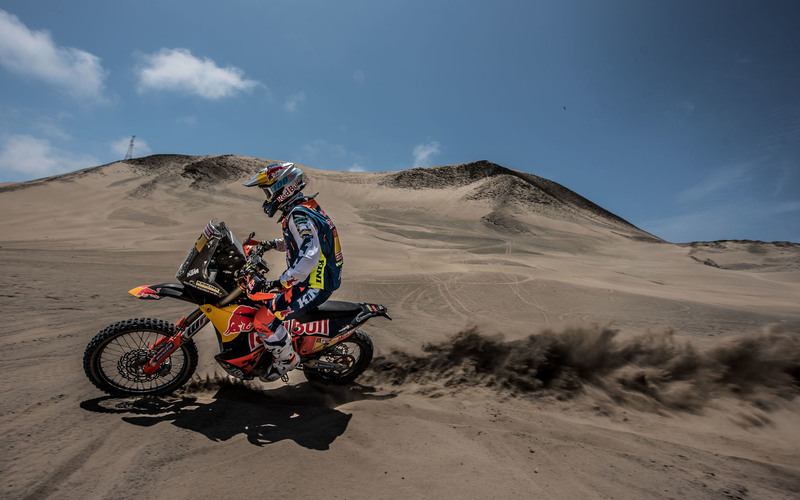 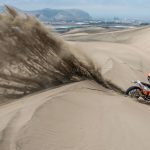 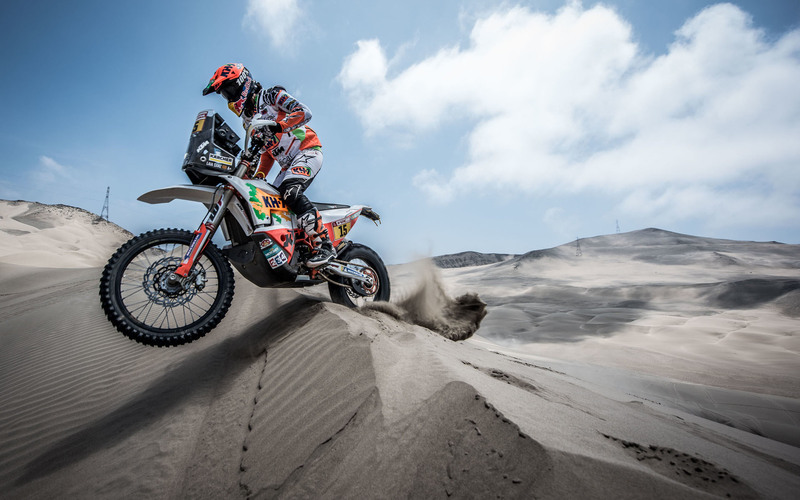 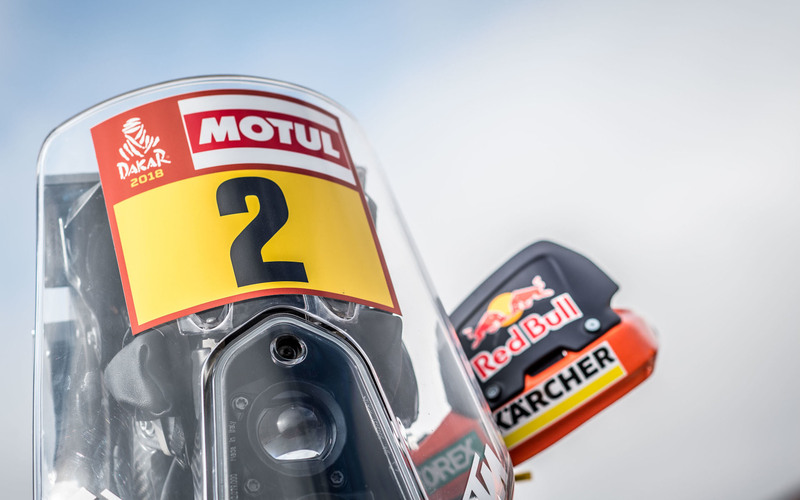 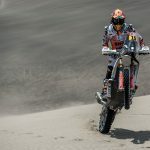 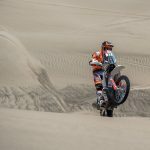 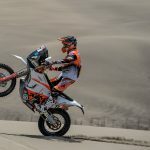 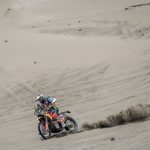 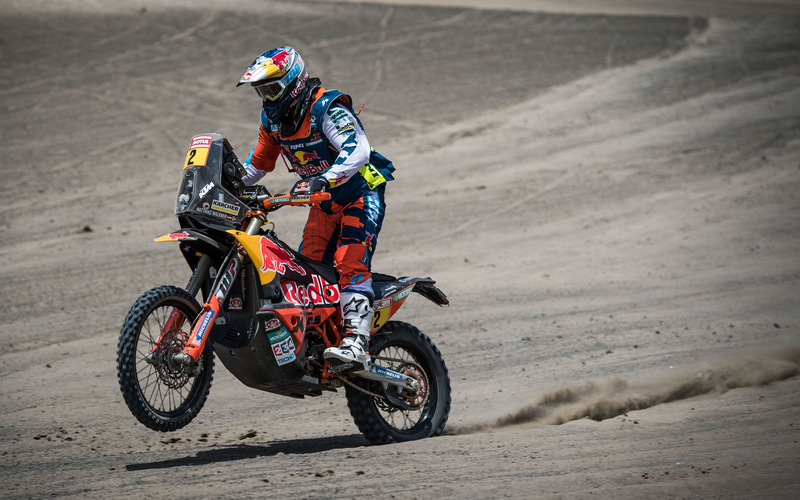 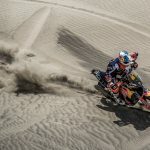 KTM will try to extend its Dakar dominance to an impressive 17th consecutive victory. 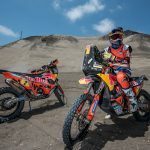 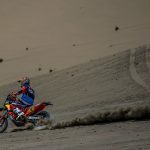 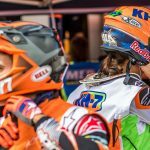 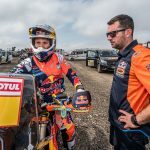 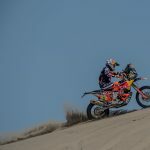 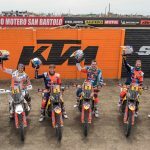 Reigning motorcycle class winner Sam Sunderland leads the way for the Red Bull KTM Factory team, with Matthias Walkner, Toby Price and Antoine Meo. 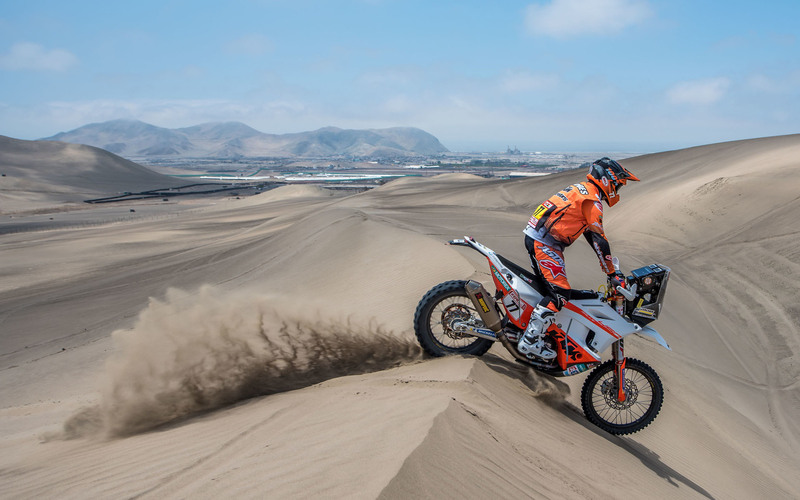 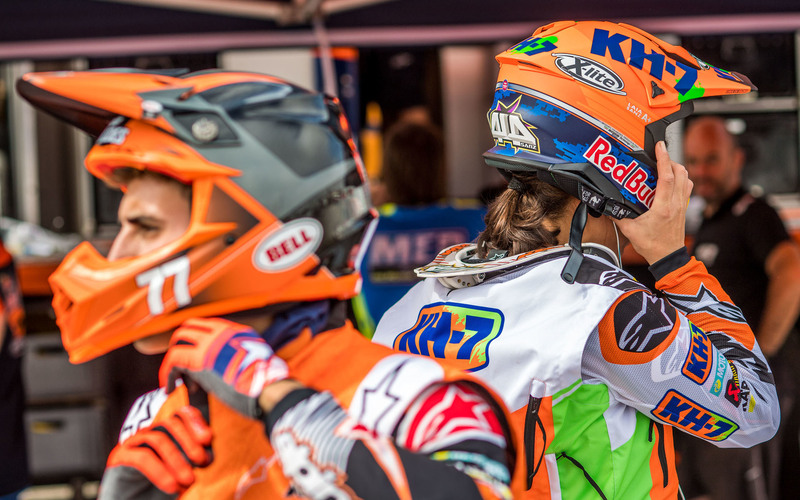 Also receiving KTM factory support are Laia Sanz and Luciano Benavides. 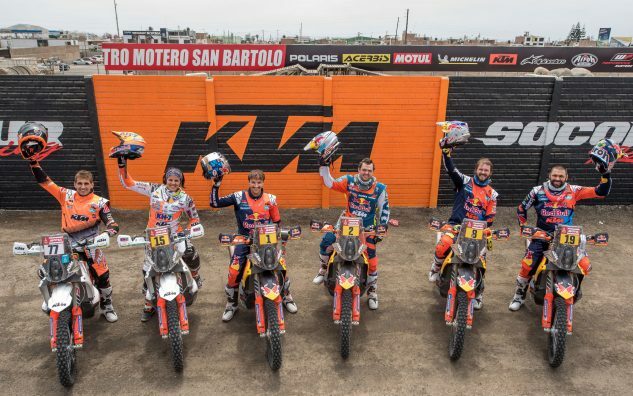 The factory riders will each be riding the new KTM 450 Rally which was unveiled at EICMA in November. 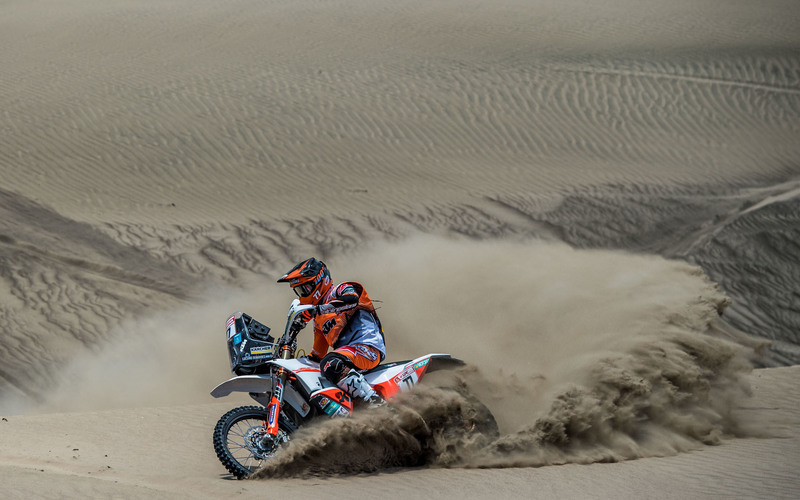 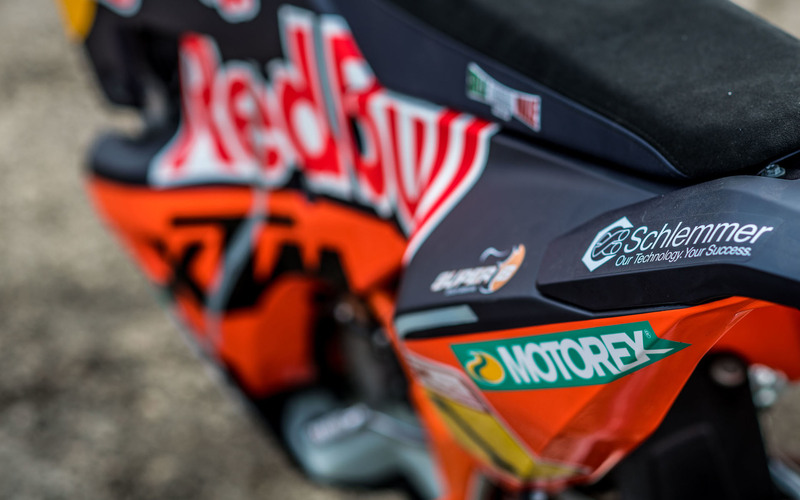 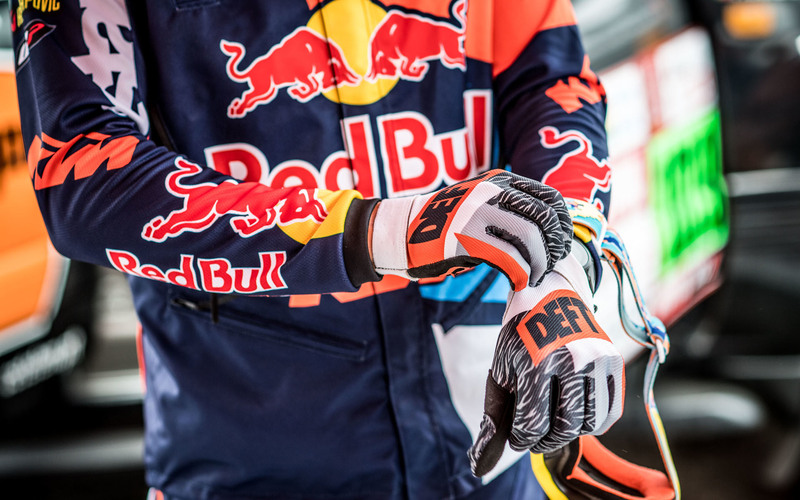 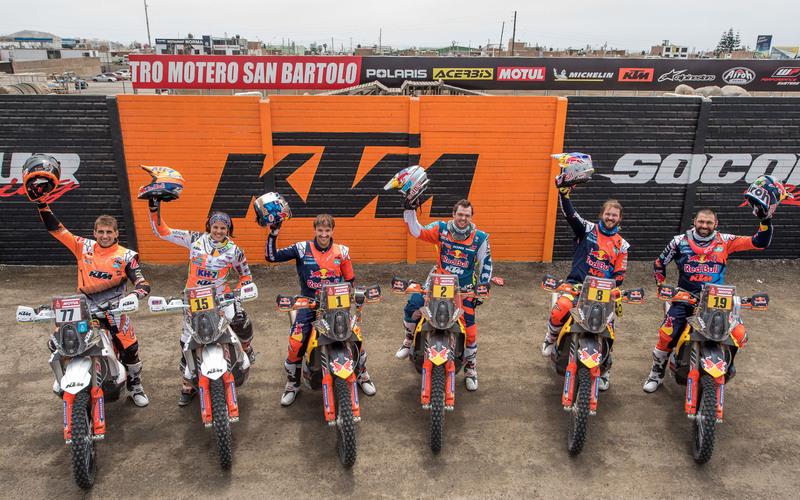 KTM has been undefeated in the Dakar Rally since 2001. 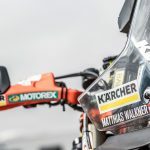 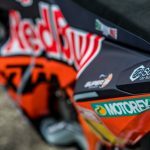 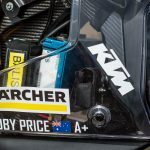 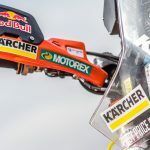 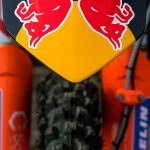 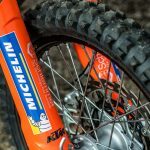 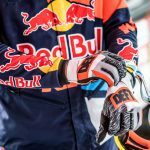 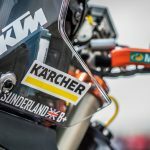 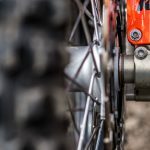 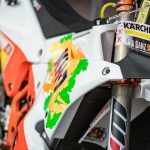 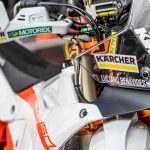 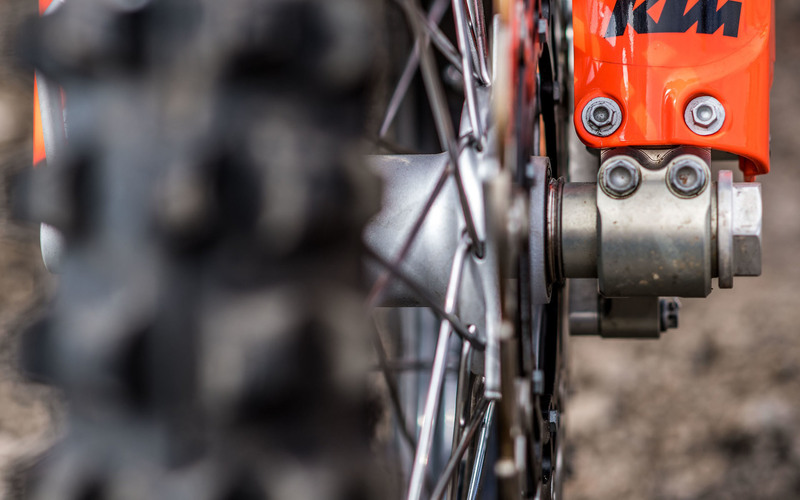 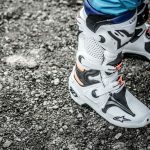 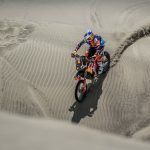 This year, KTM will field six factory riders. 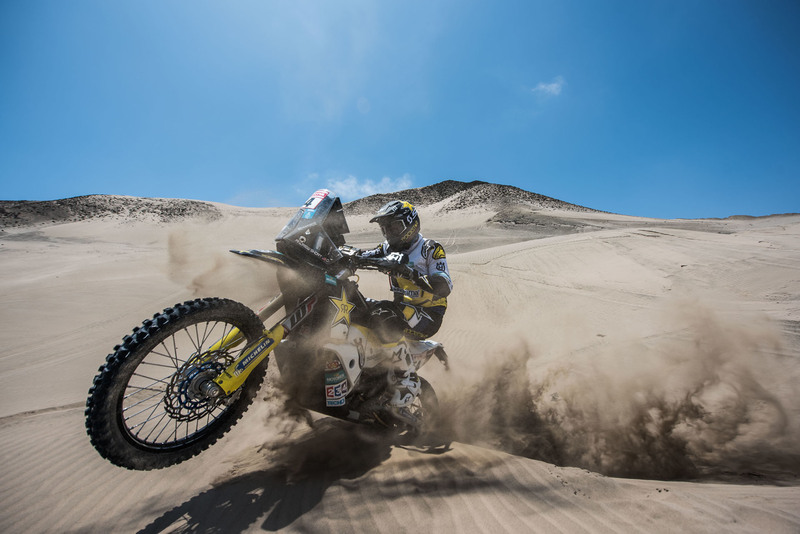 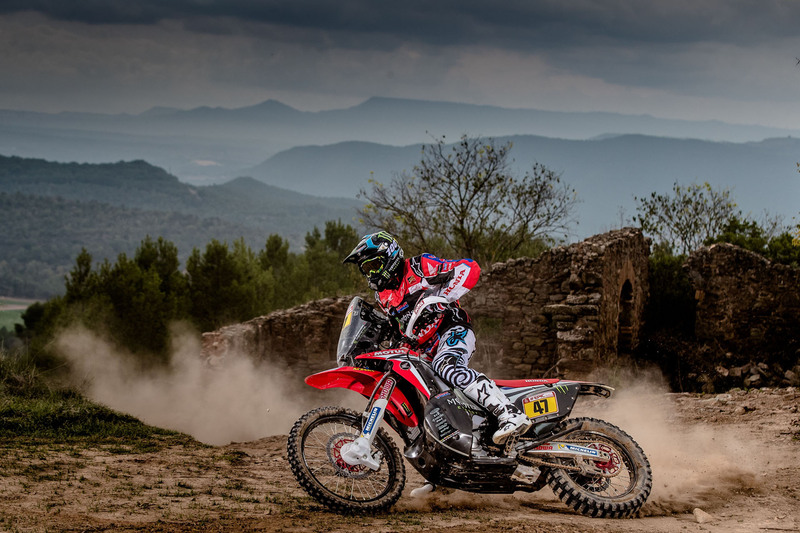 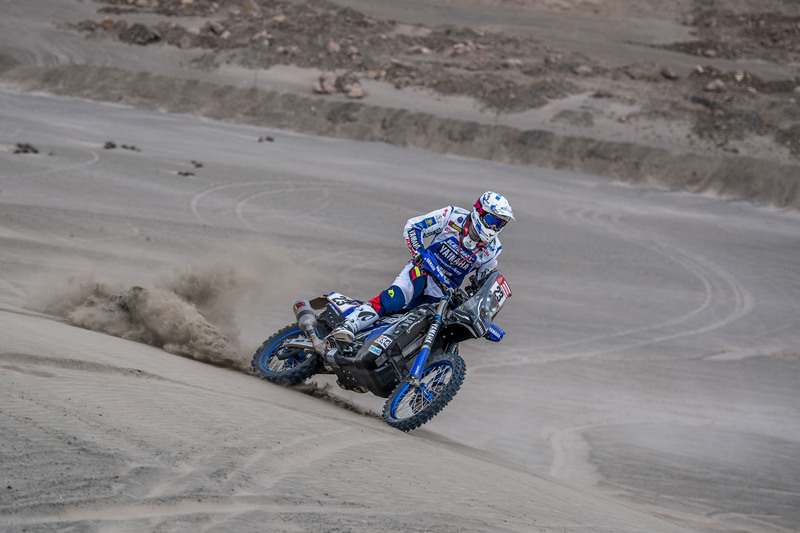 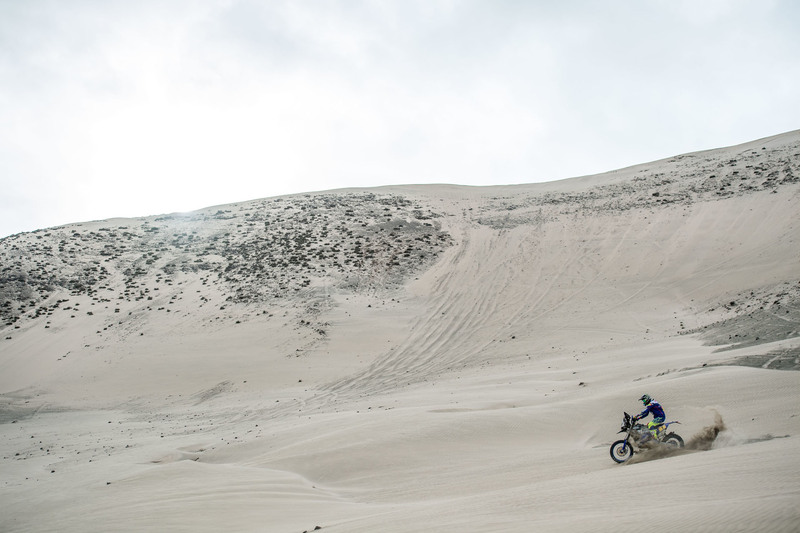 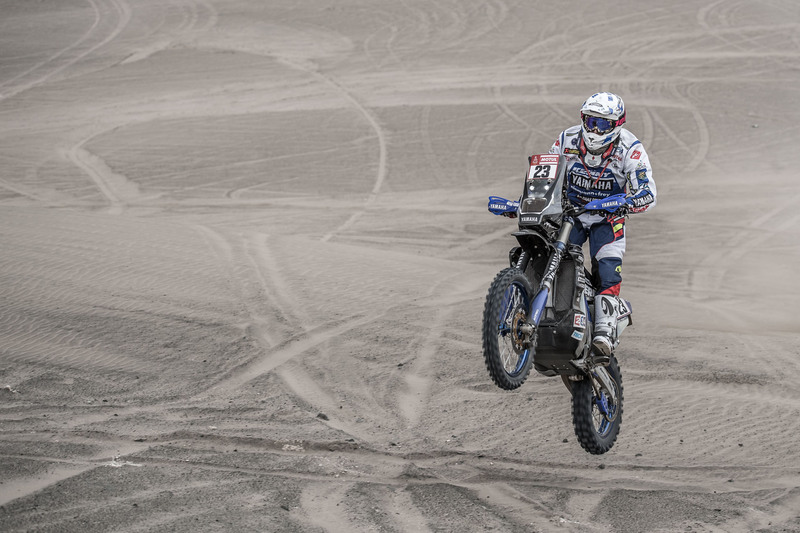 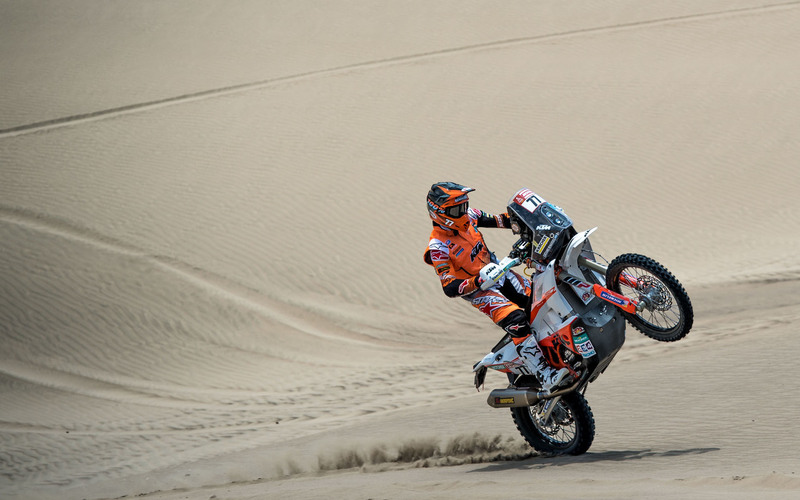 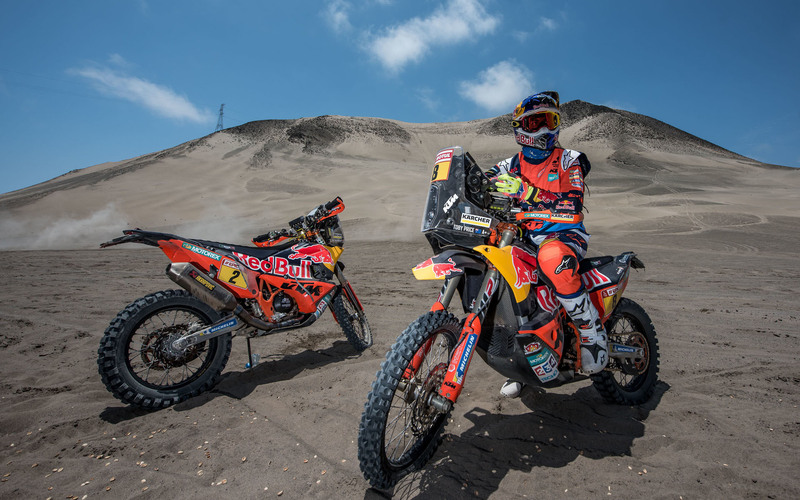 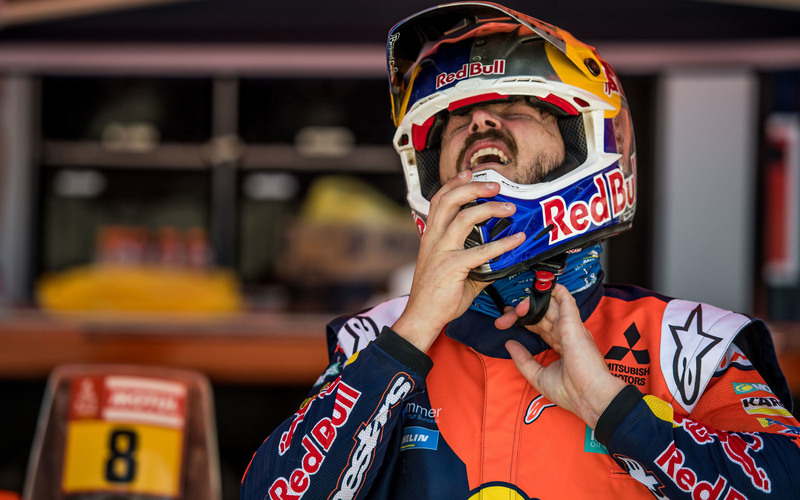 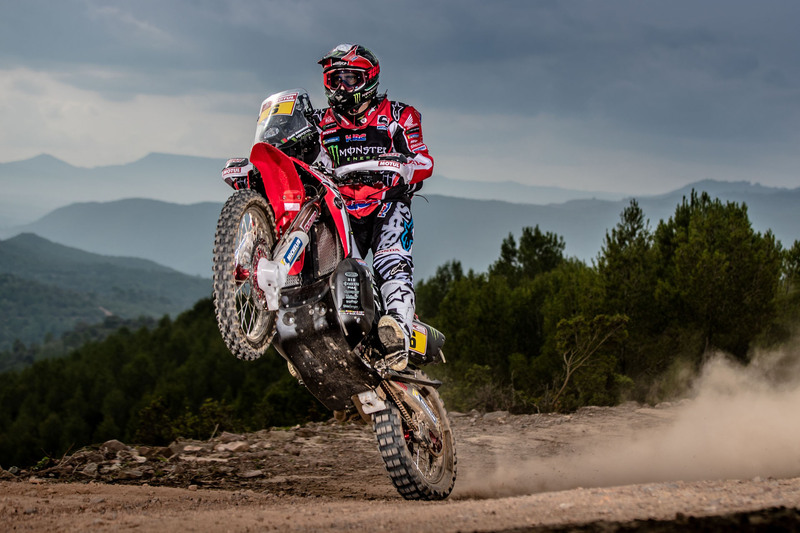 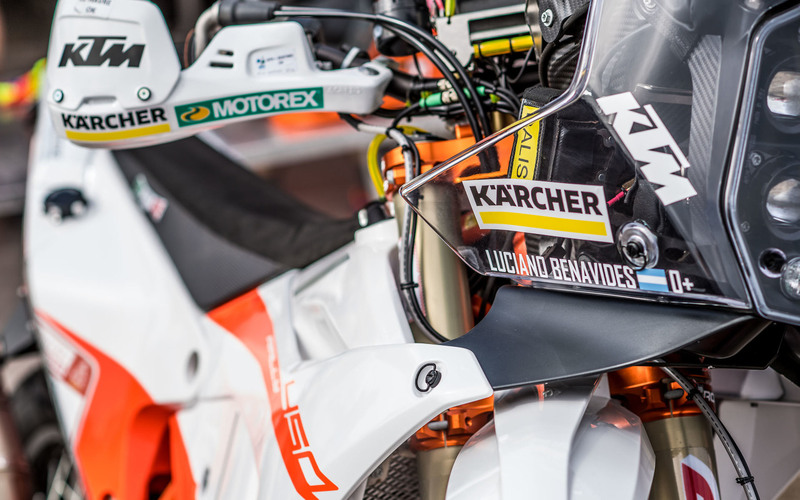 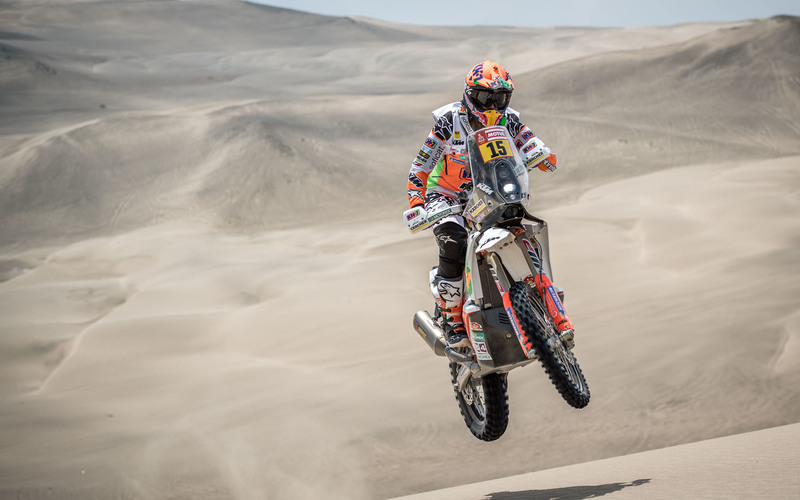 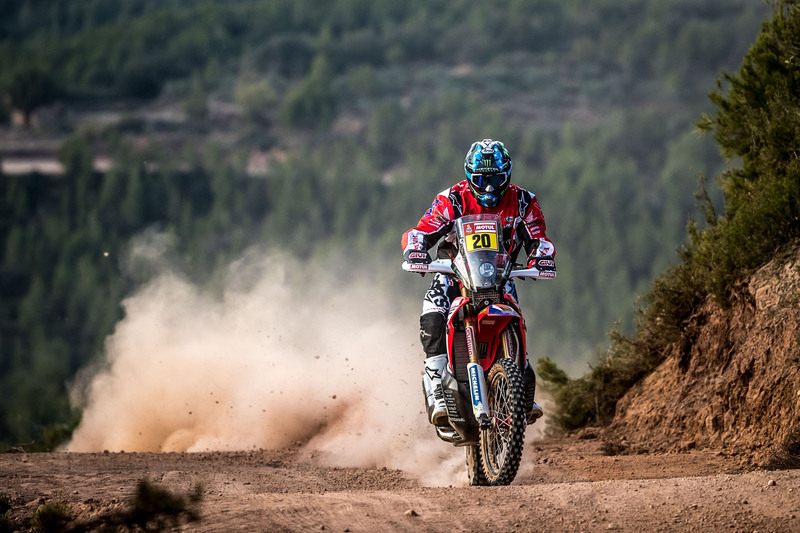 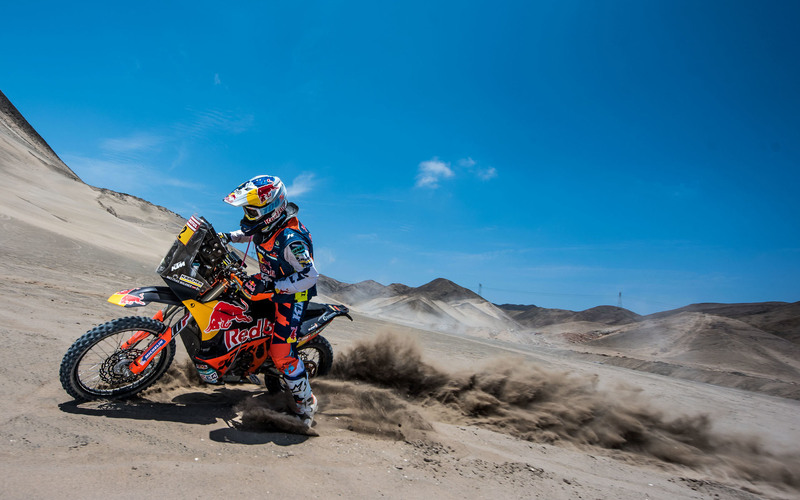 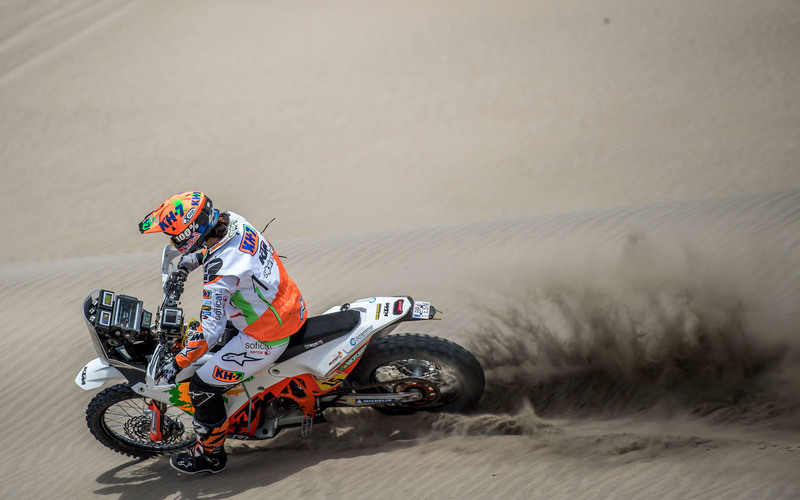 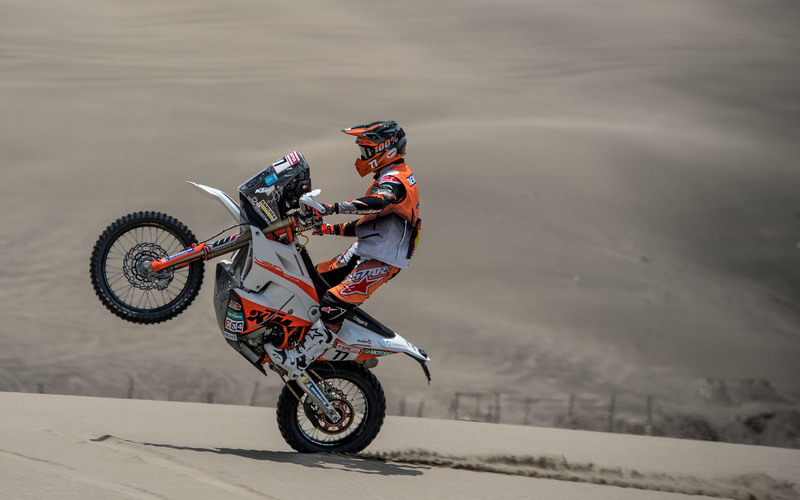 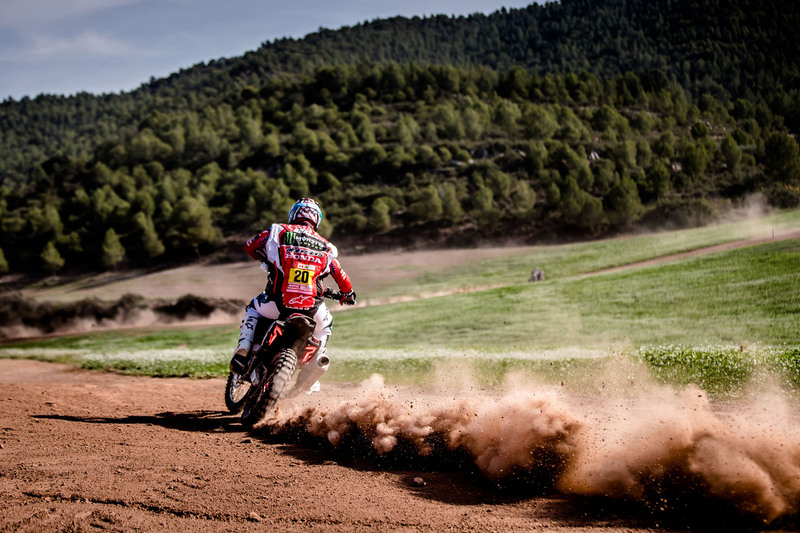 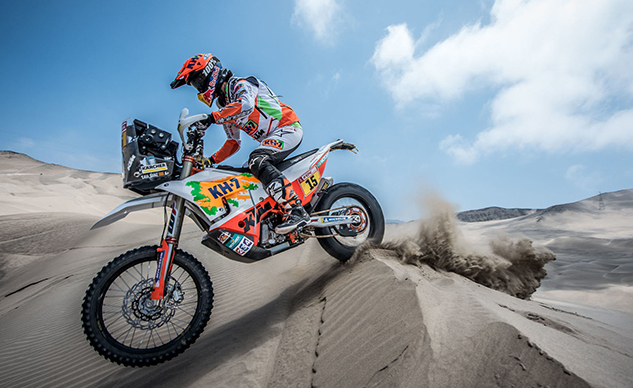 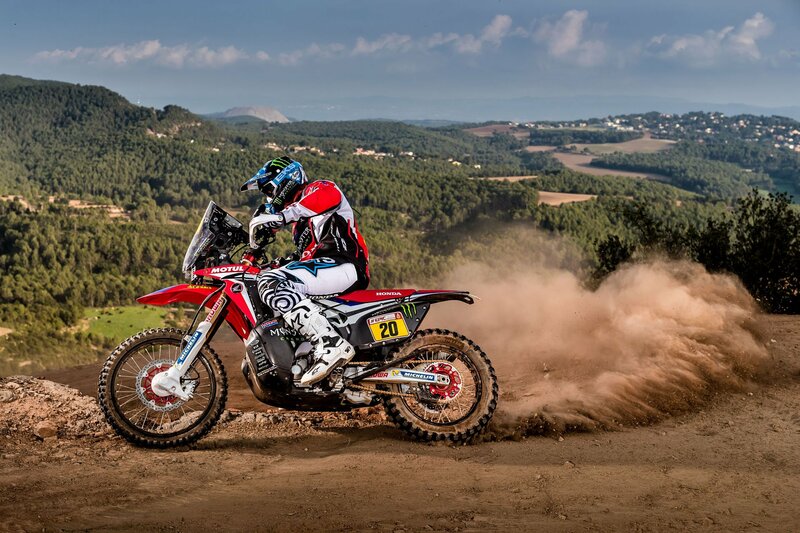 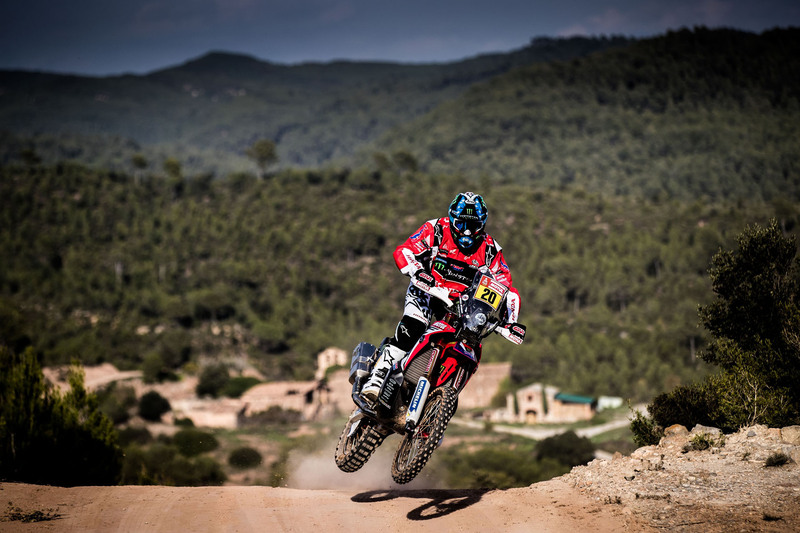 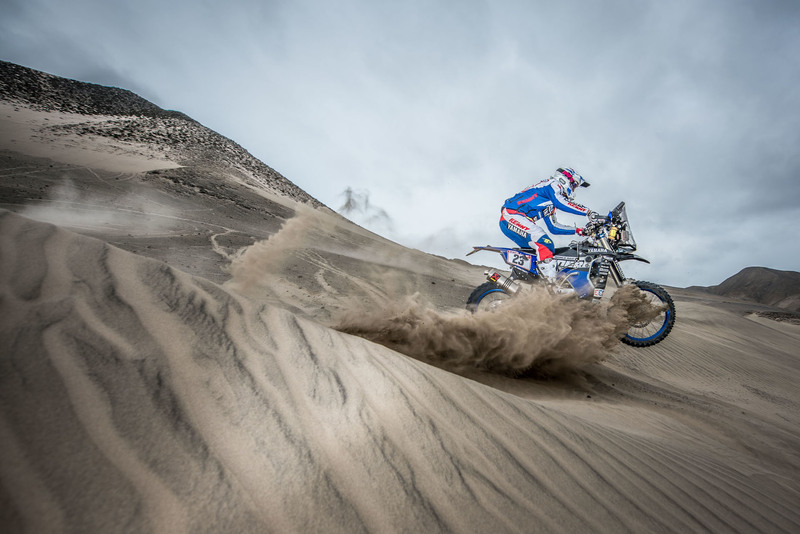 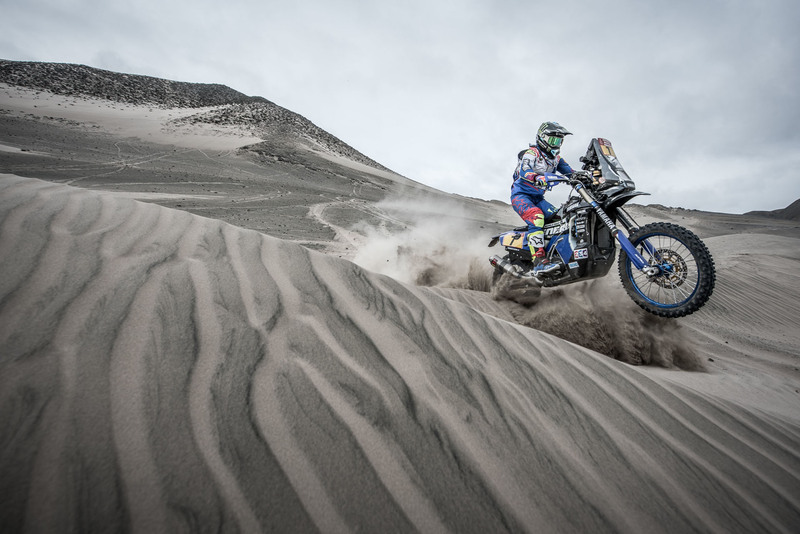 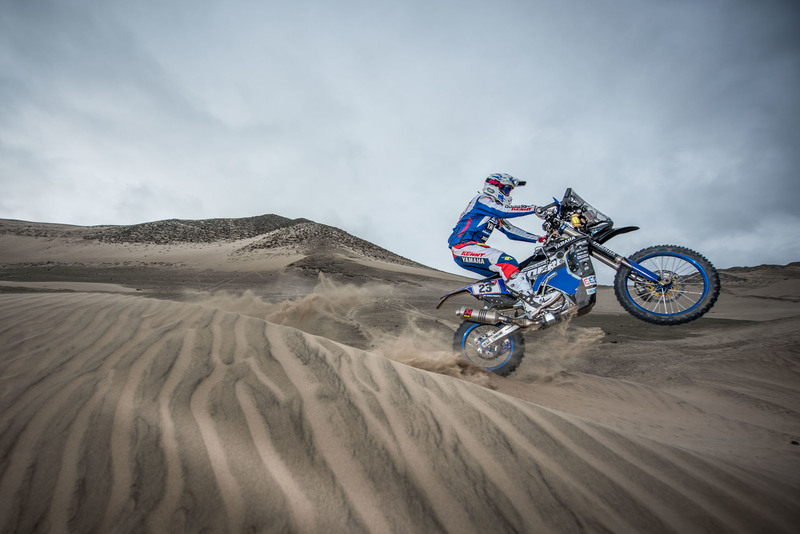 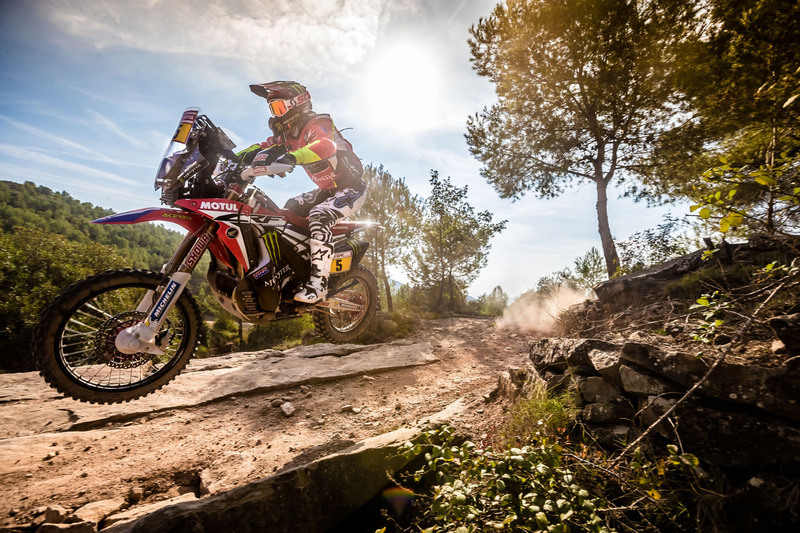 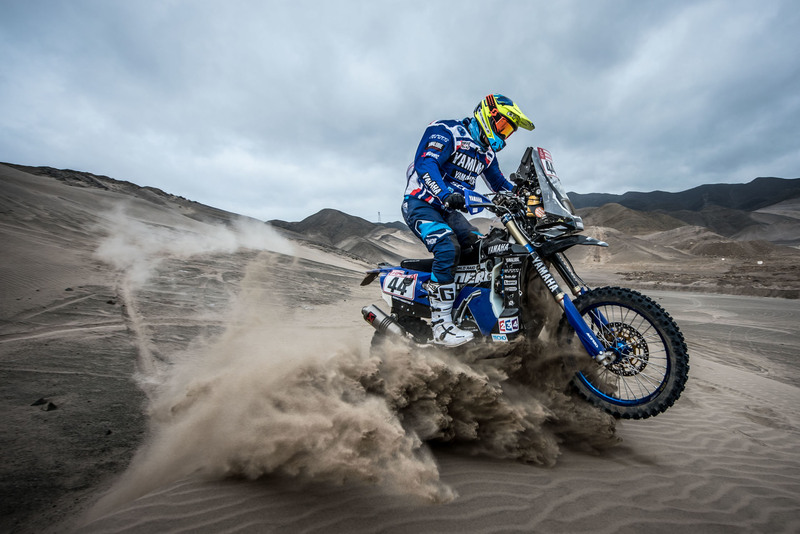 Rally-racing World Champion Pablo Quintanilla is one of the favorites looking to unseat KTM. 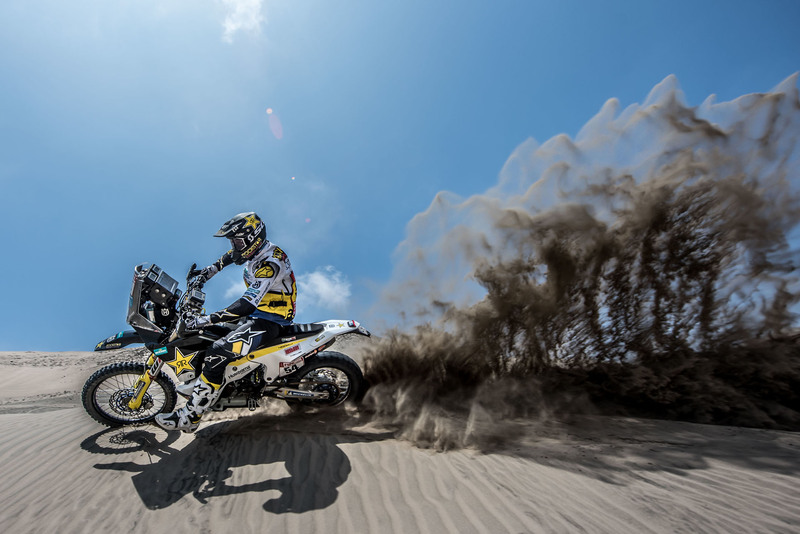 If any manufacturer has a good shot at unseating KTM, it’s the Austrian brand’s subsdiary, Husqvarna whose FR 450 shares much of its DNA with the 450 Rally. 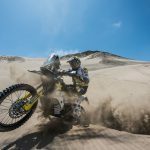 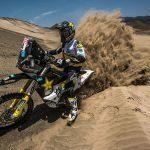 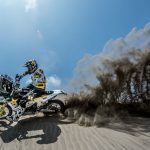 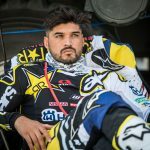 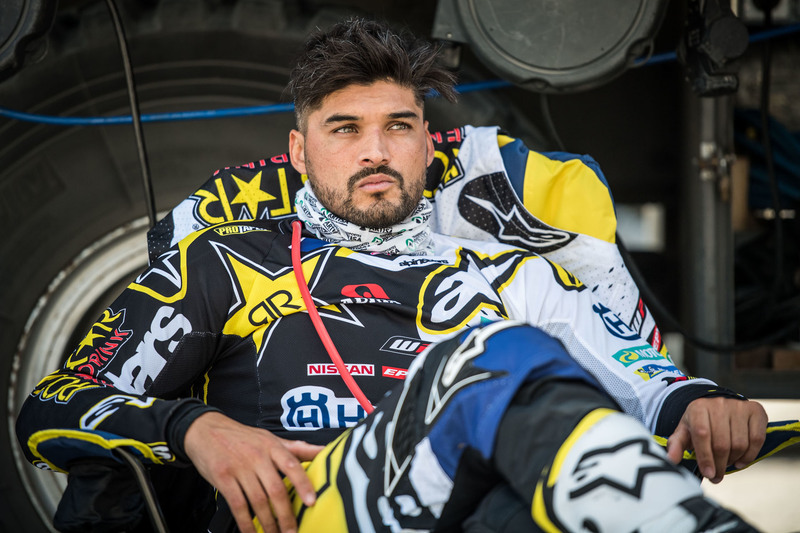 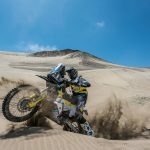 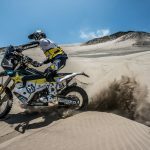 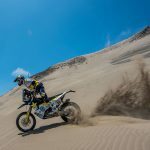 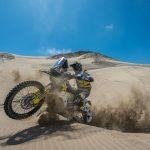 The Rockstar Energy Husqvarna Factory Racing team will be represented by 2017 FIM World Cross-Country Rallies Champion Pablo Quintanilla and Andrew Short. 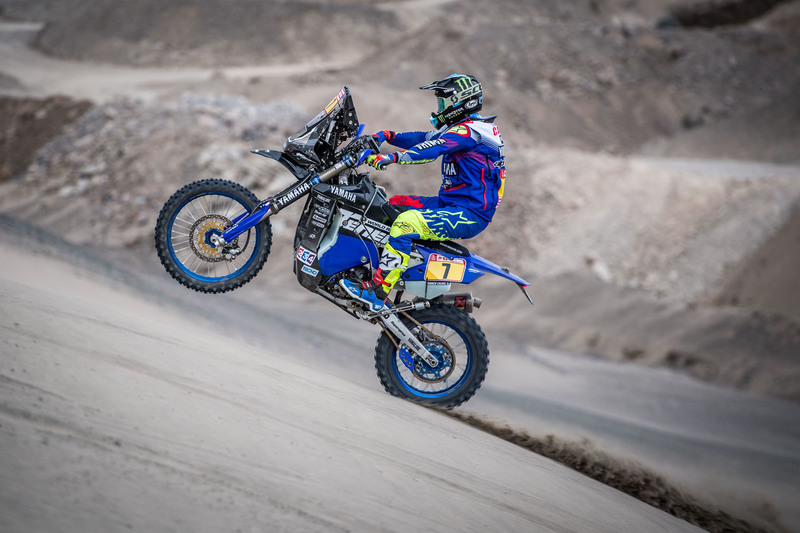 After a 16-year career in AMA Motocross and Supercross racing, Andrew Short will be competing in his first ever Dakar Rally. 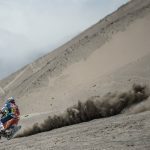 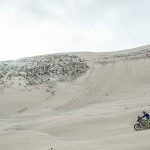 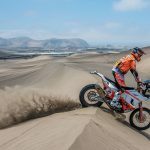 For Short, who retired from AMA Motocross and Supercross racing in 2016, the Dakar Rally presents a new challenge for the Colorado native. Joan Barreda returns from injury to lead Honda’s factory team. 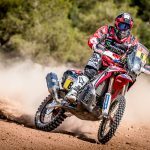 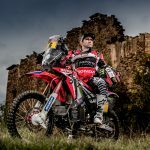 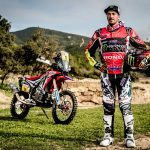 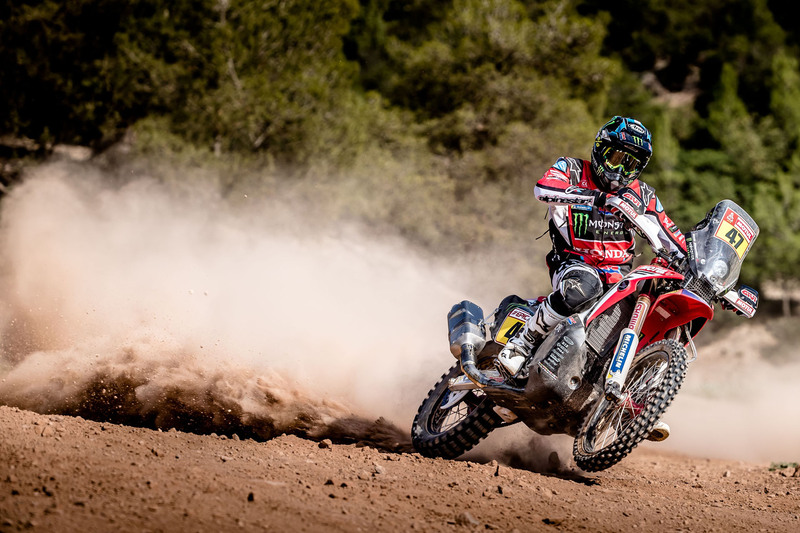 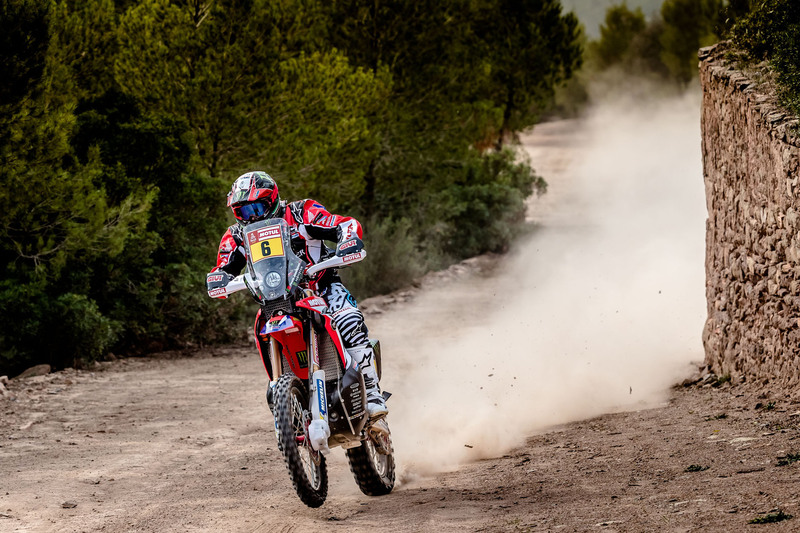 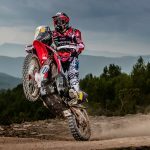 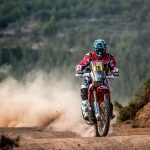 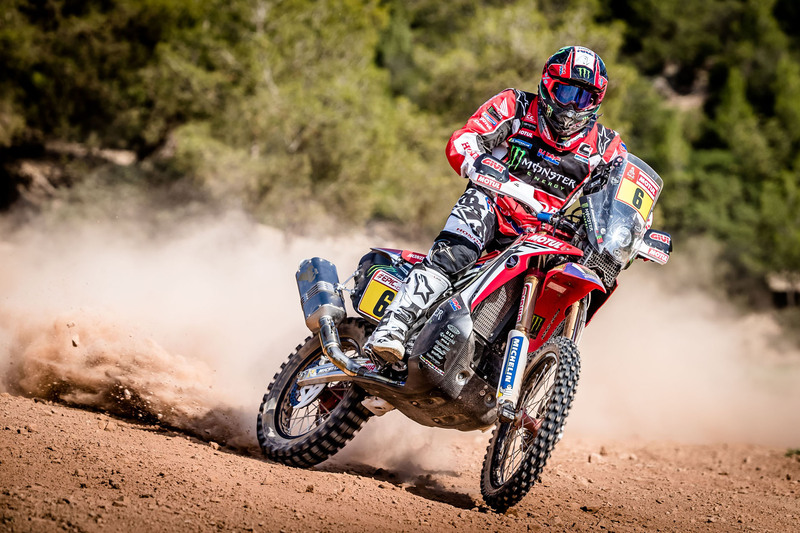 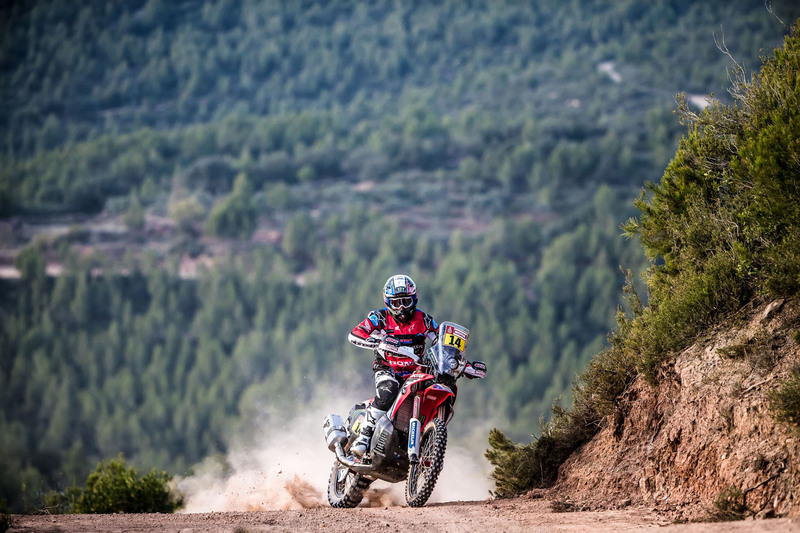 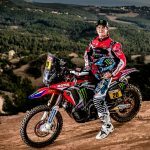 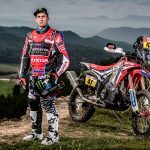 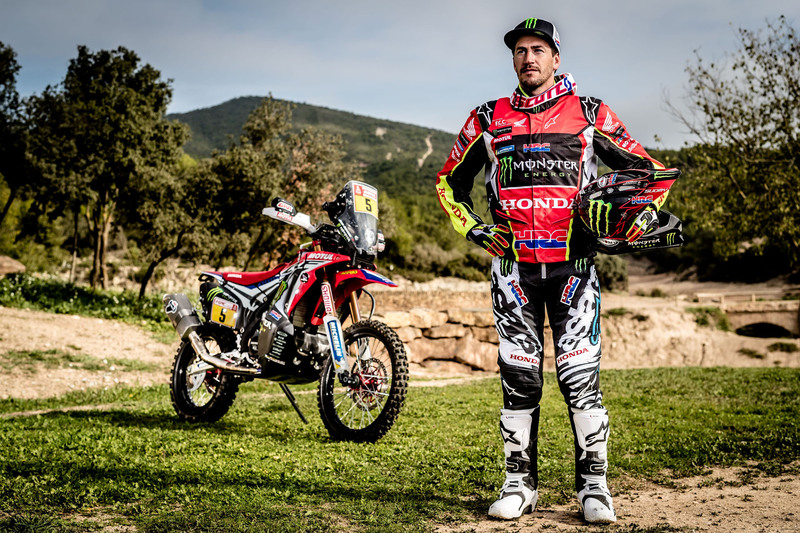 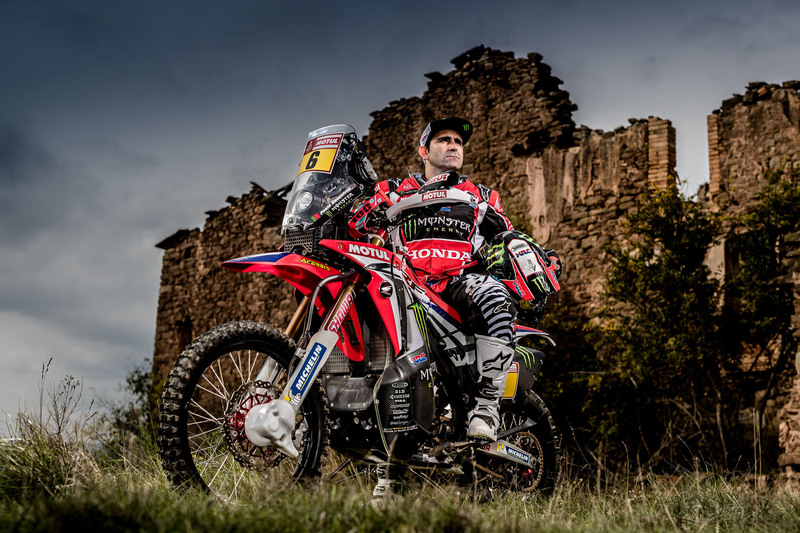 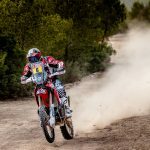 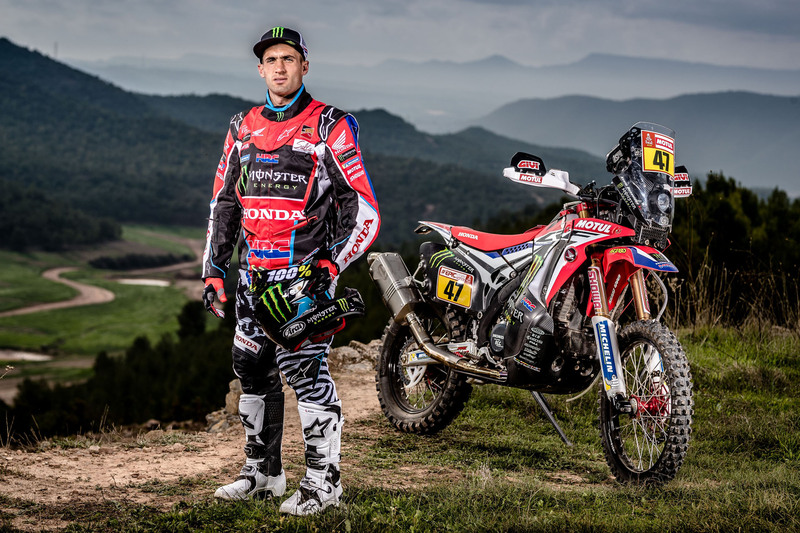 Barreda will be competing in his eighth Dakar Rally, finishing a career-best fifth overall in 2017. 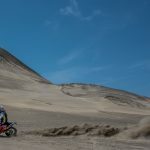 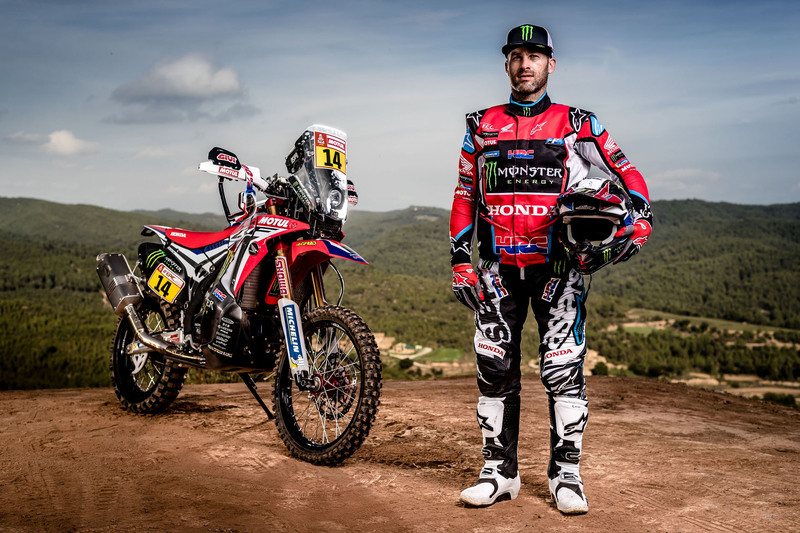 The Monster Energy Honda team arrived in South America on a bit of a down note, with racer Paulo Gonçalves withdrawing from this year’s race after injuring his right shoulder and left knee. 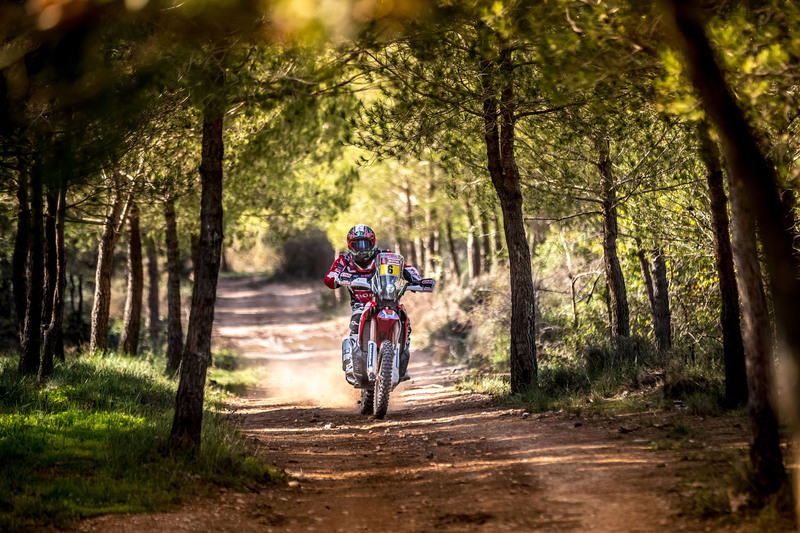 His absence will be filled by 2016 FIM Junior World Cross Country Rallies Champion José Ignacio Cornejo. 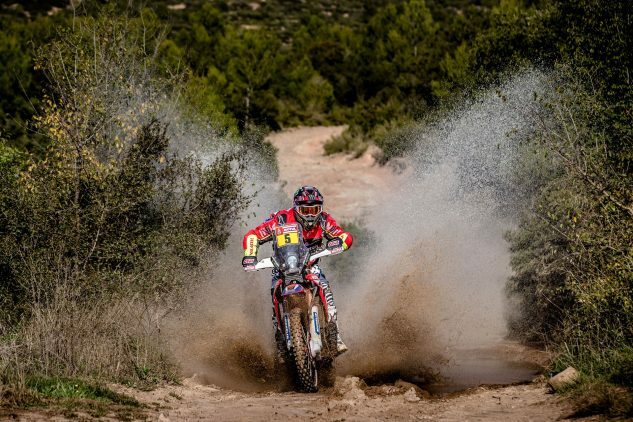 On the plus side, Joan Barreda has received medical clearance to race after a left arm injury. 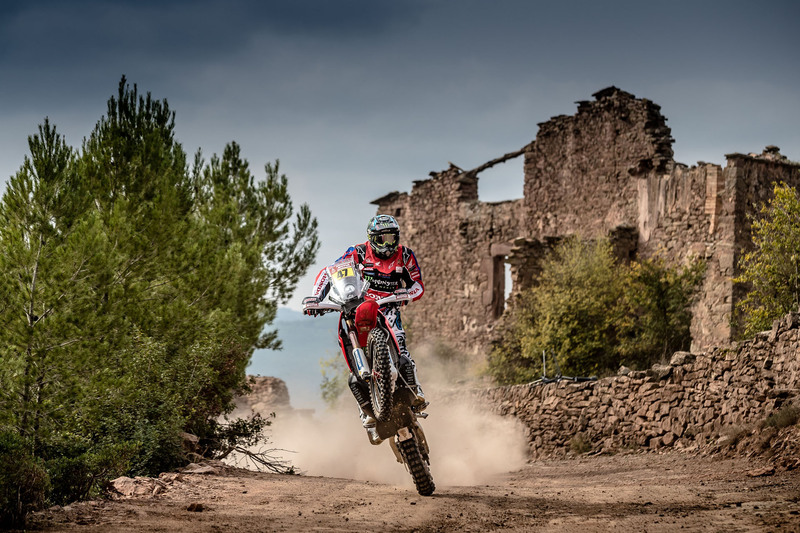 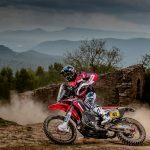 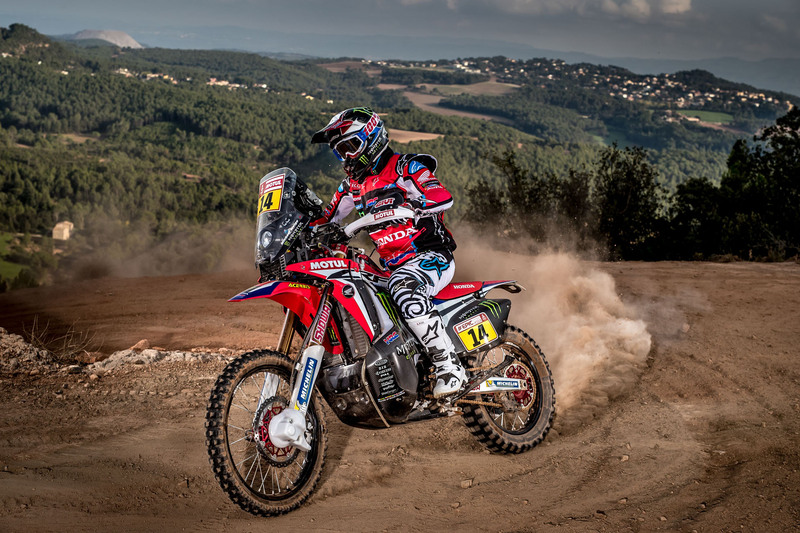 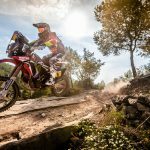 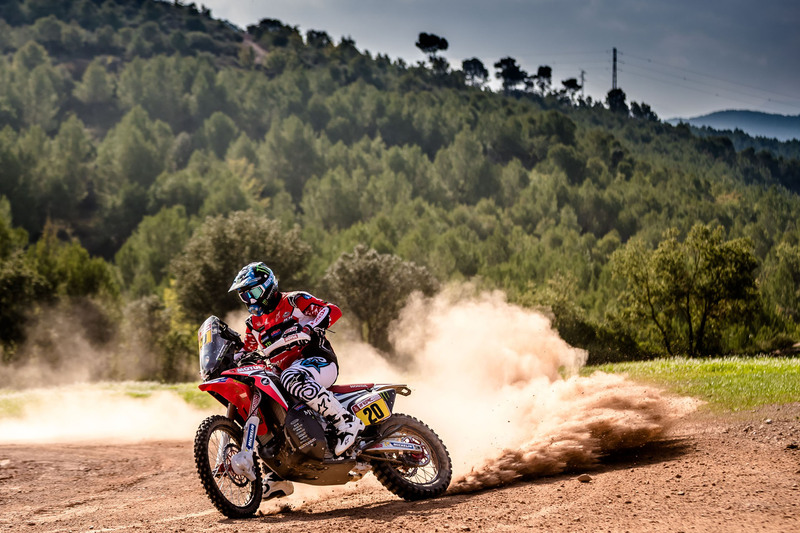 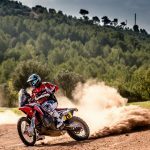 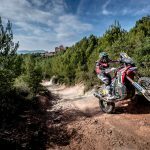 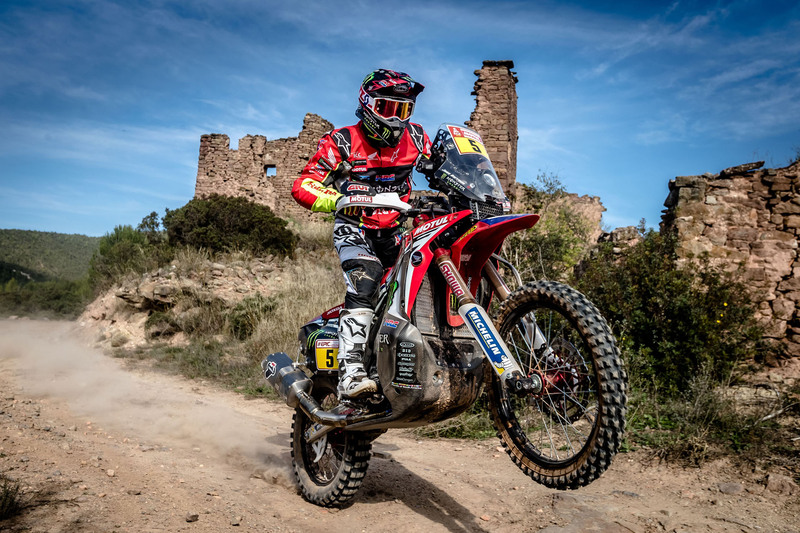 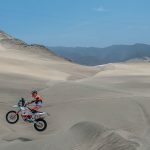 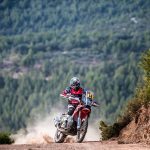 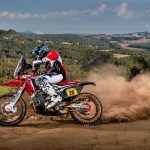 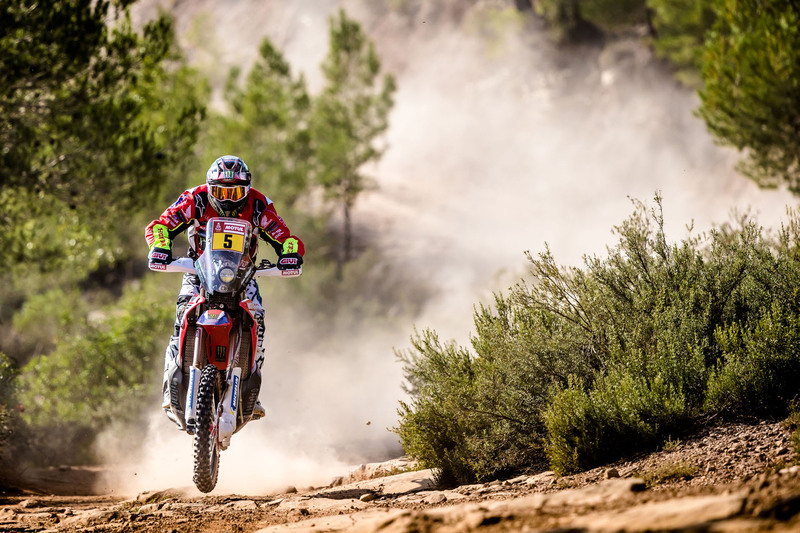 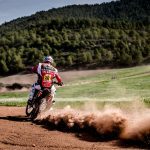 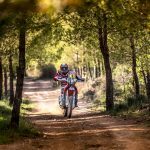 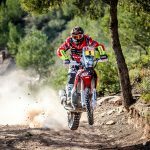 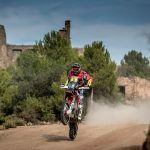 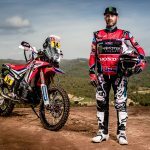 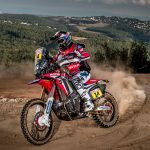 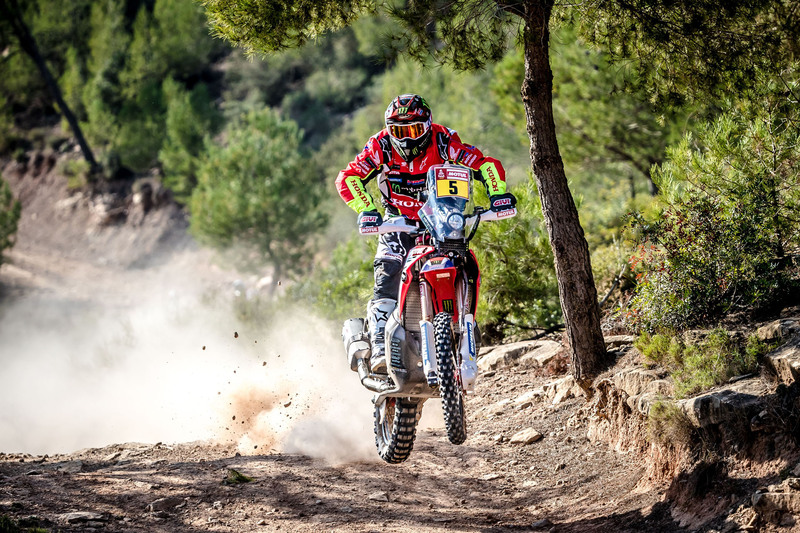 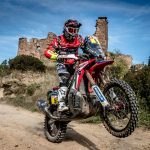 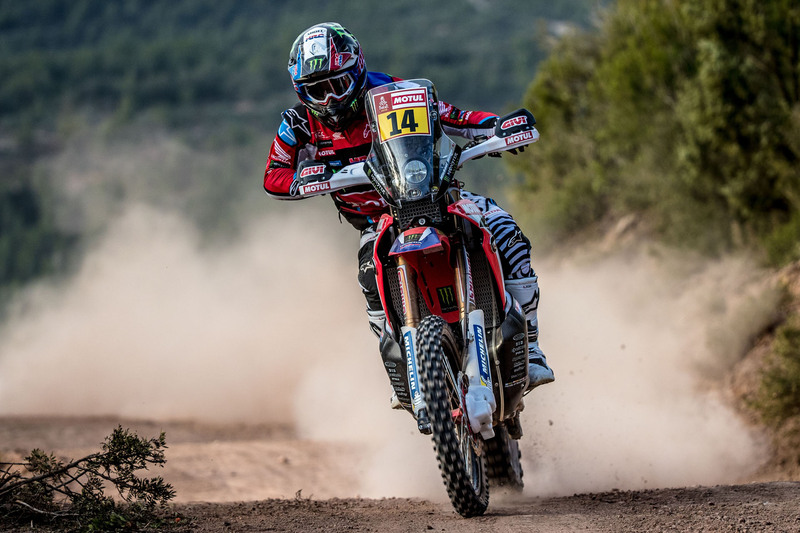 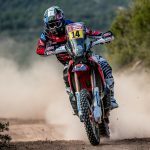 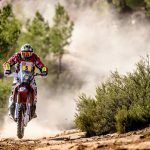 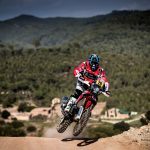 Joining them on Honda CRF450 Rallys are Kevin Benavides, Michael Metge and Ricky Brabec who won his first ever Dakar stage in last year’s rally. 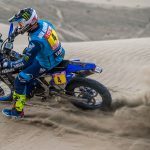 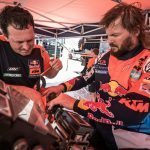 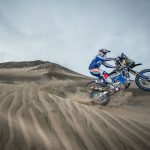 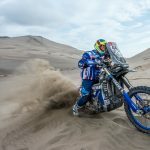 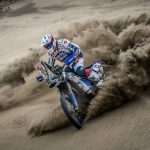 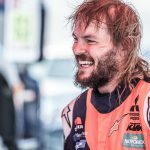 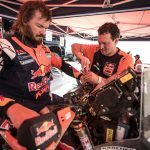 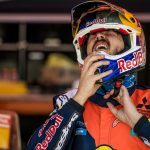 Ricky Brabec won a stage in the 2017 Dakar Rally and hopes to do even better this year. 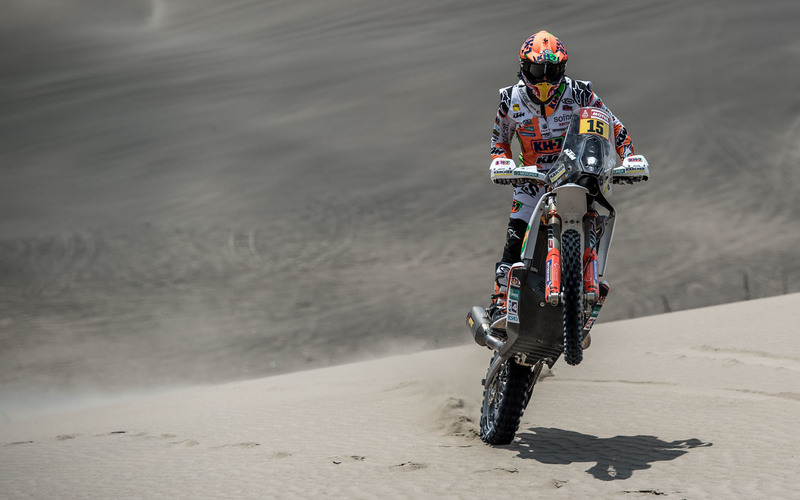 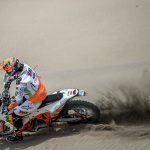 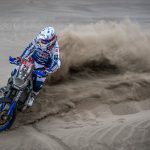 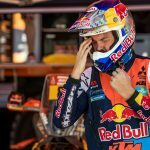 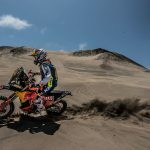 Adrien van Beveran just missed the podium in last year’s Dakar Rally. 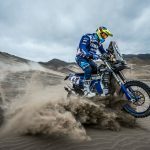 Representing the Yamalube Yamaha team are Adrien van Beveran, world enduro racer Xavier de Soultrait, Franco Caimi and Rodney Faggotter. 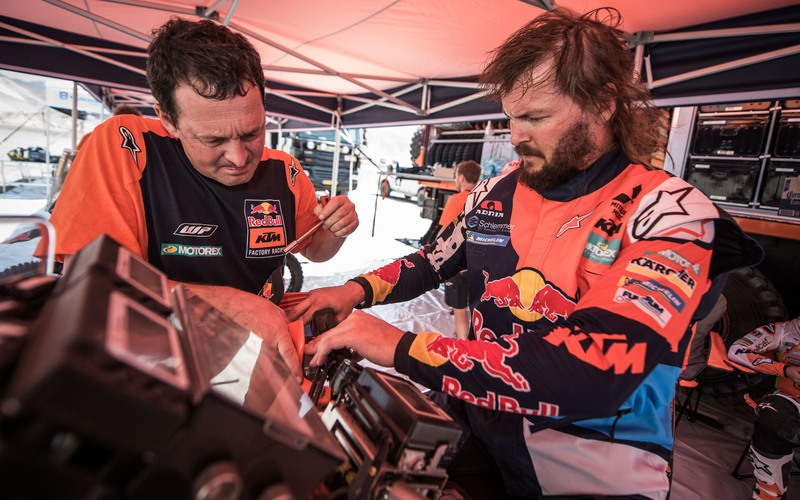 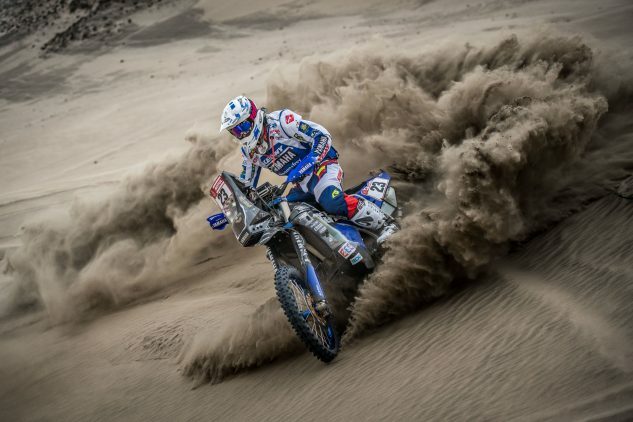 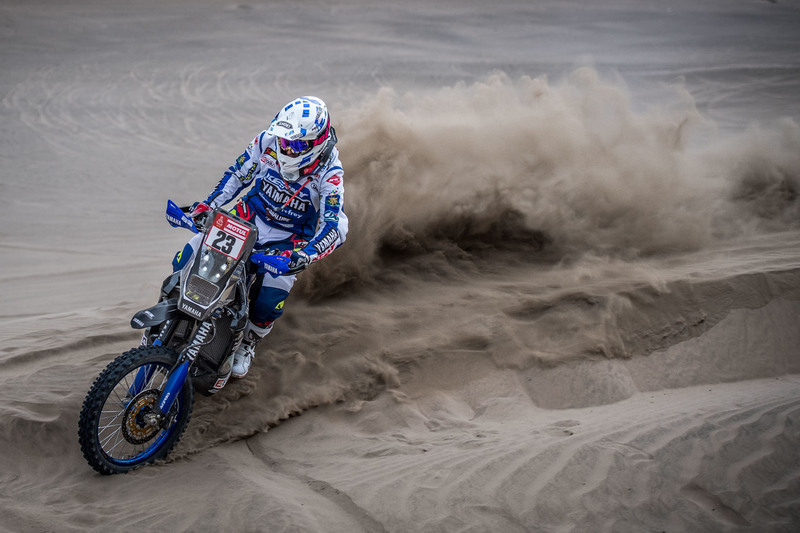 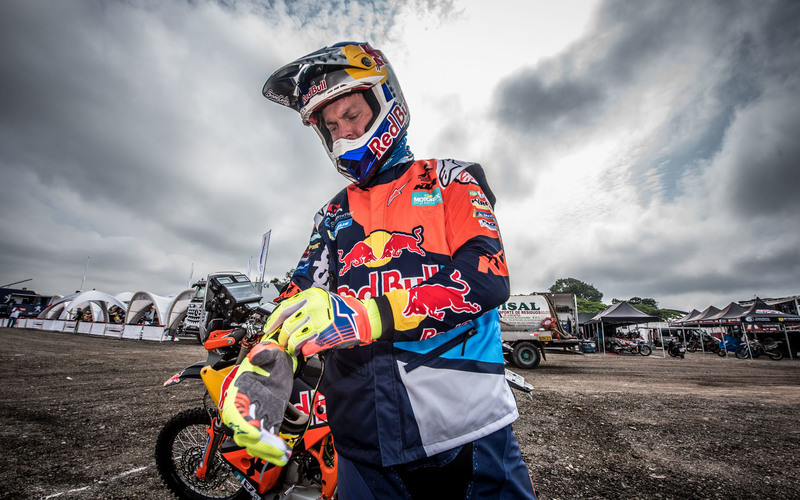 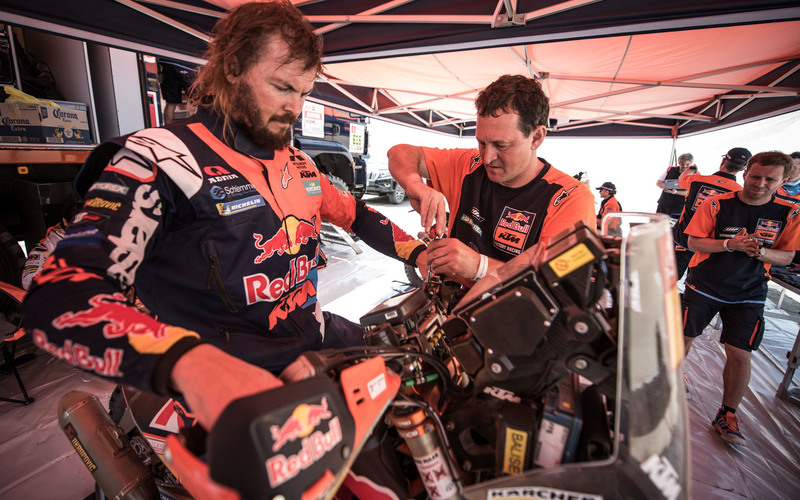 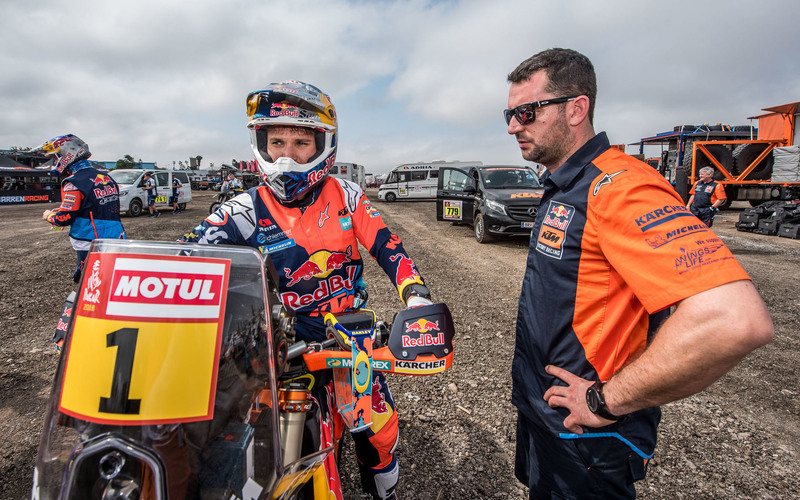 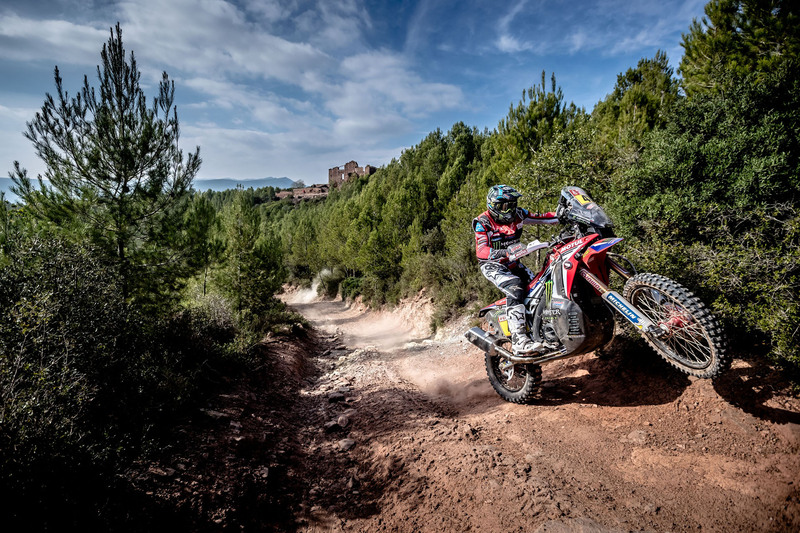 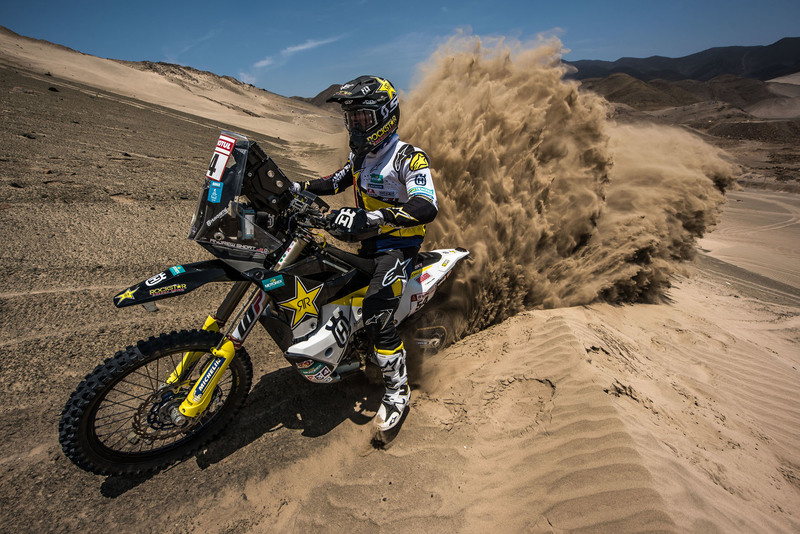 The team is the least experienced of the factory teams, de Soultrait leading the team with his fourth Dakar Rally. 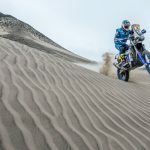 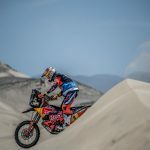 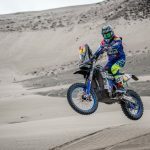 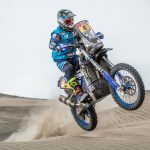 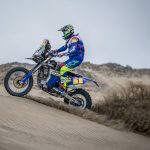 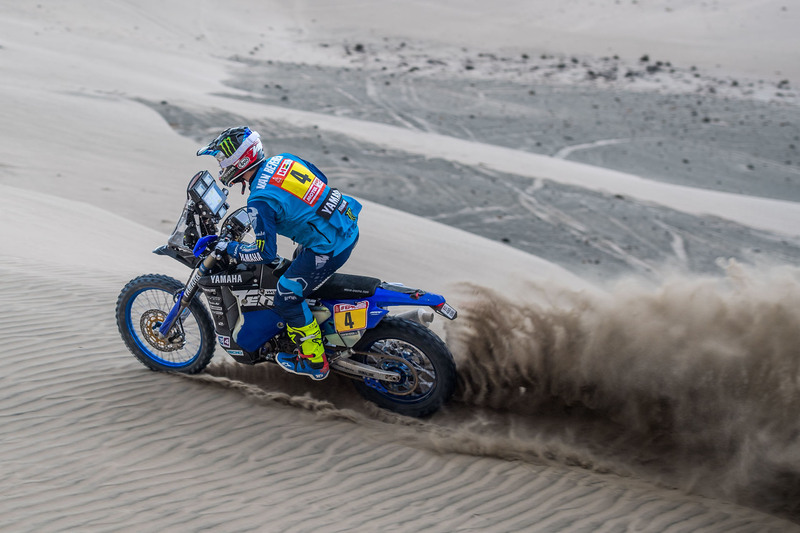 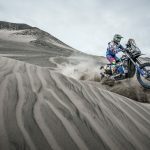 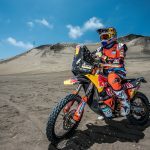 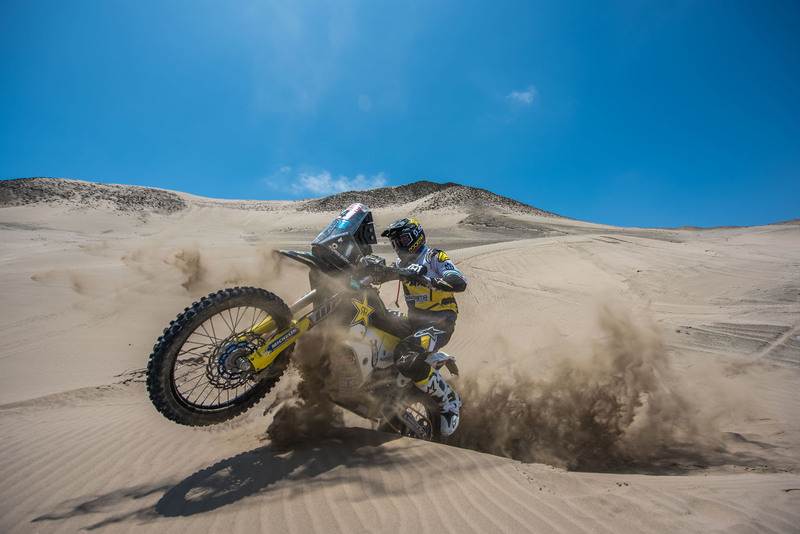 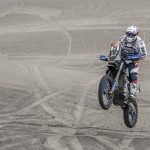 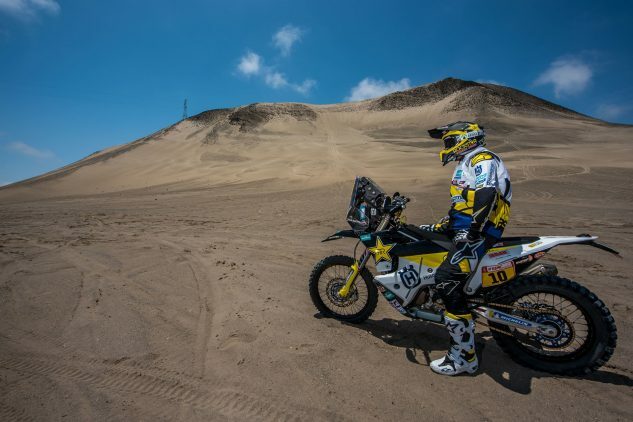 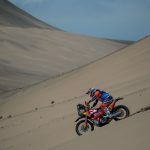 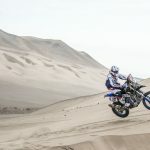 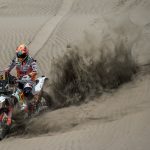 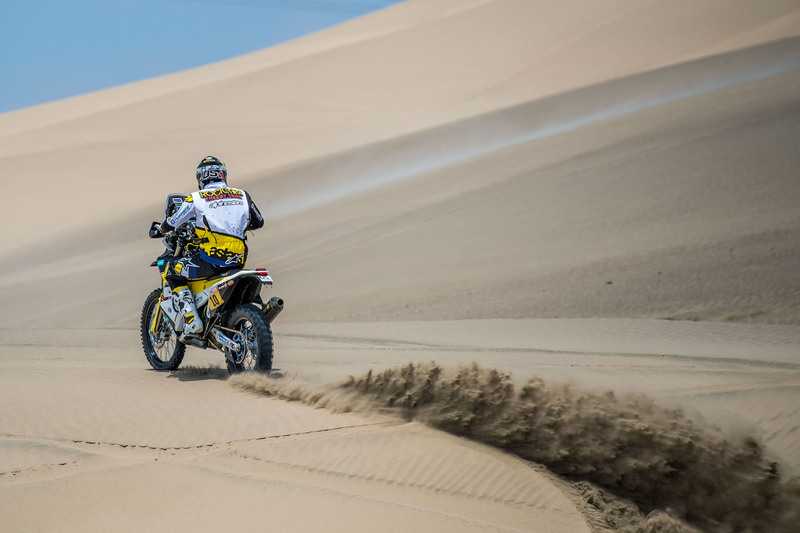 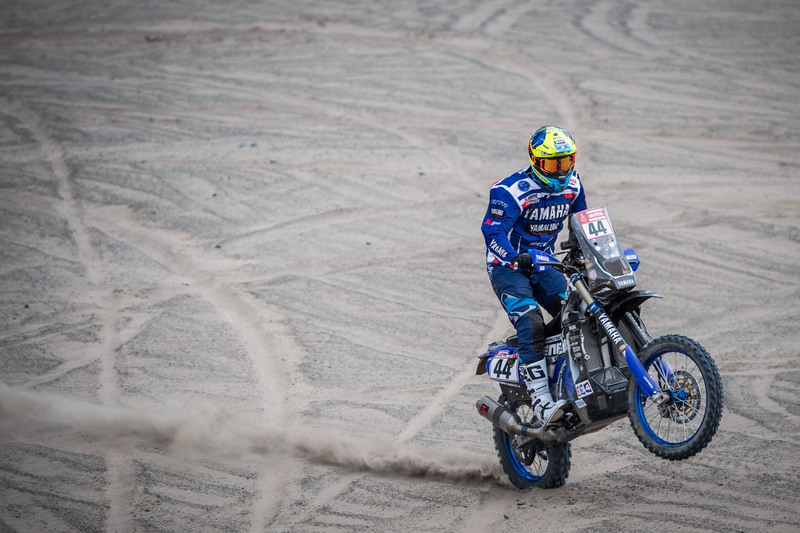 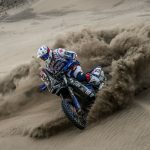 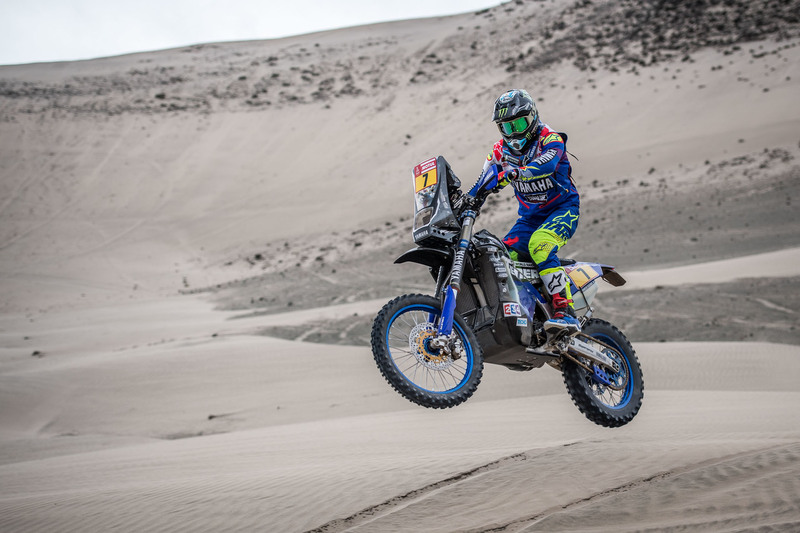 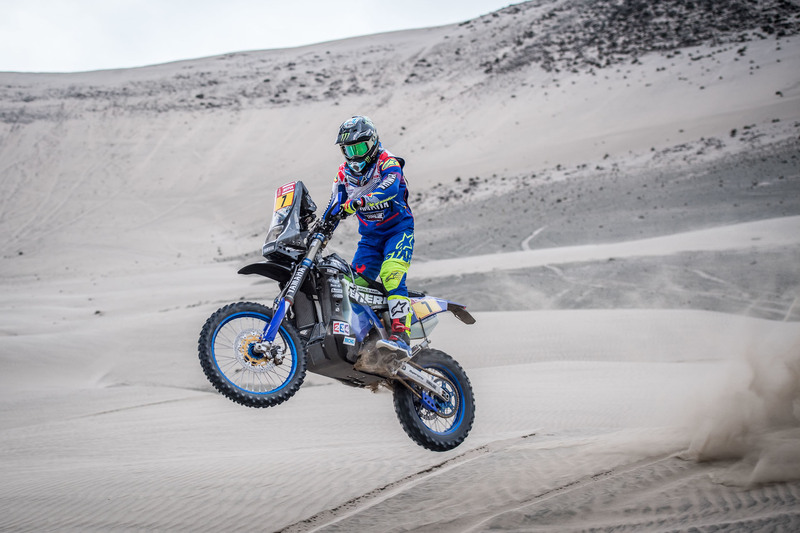 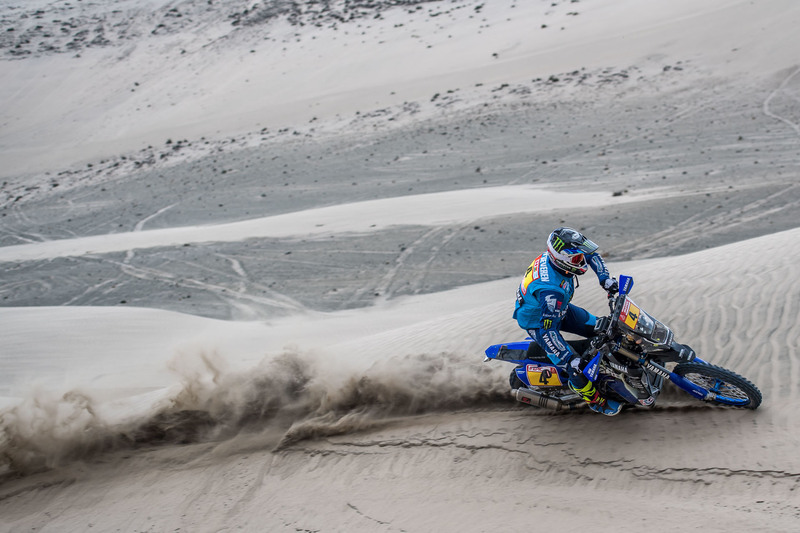 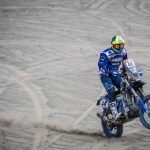 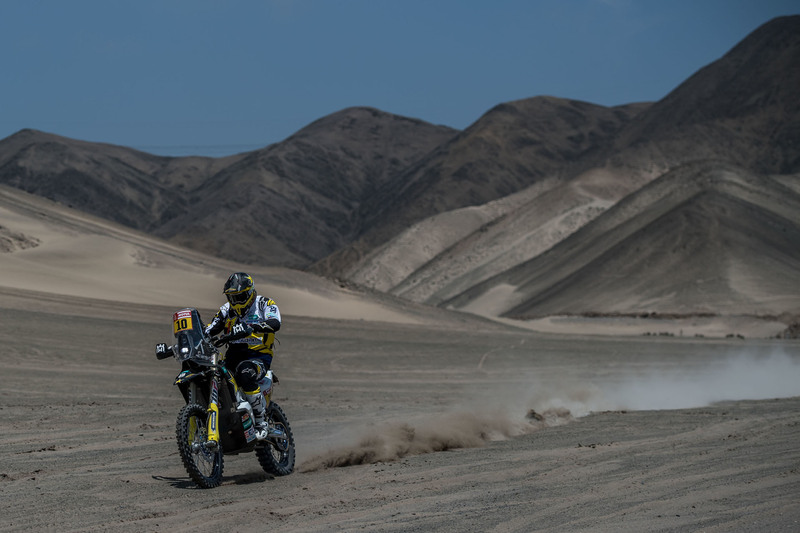 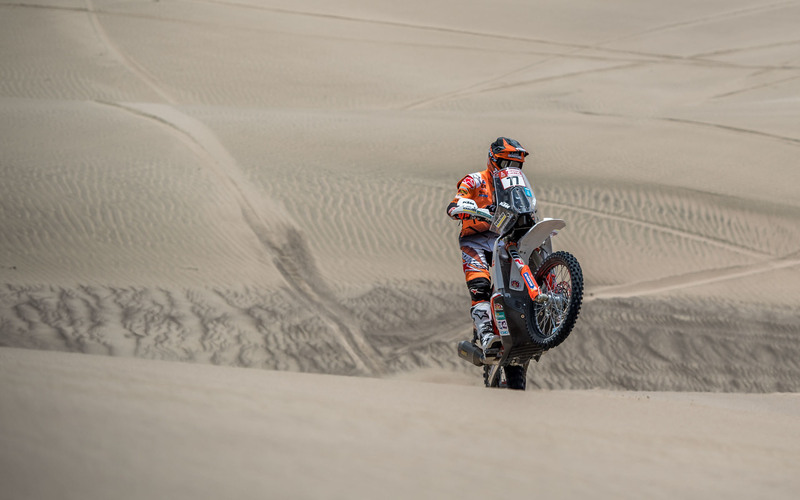 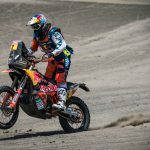 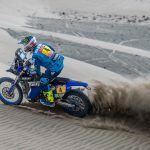 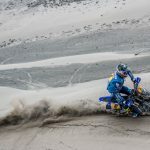 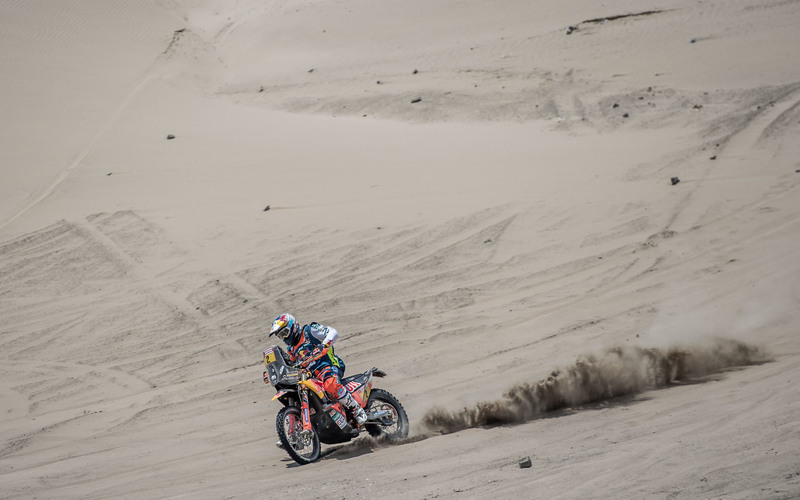 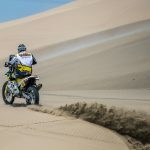 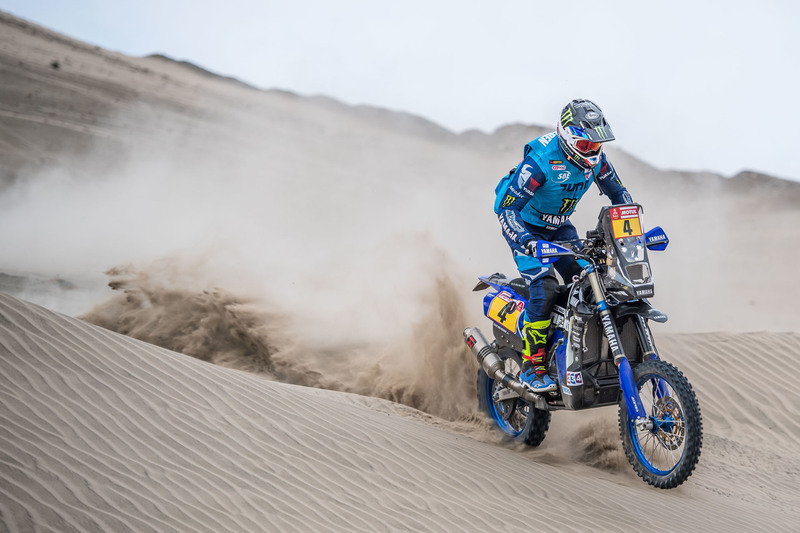 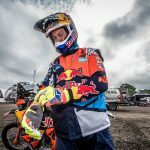 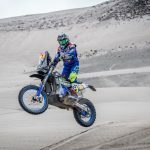 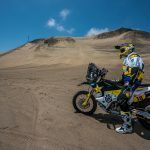 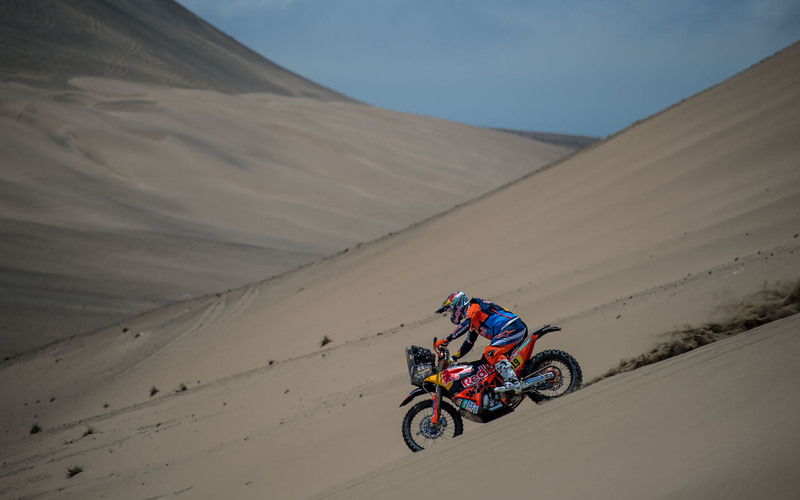 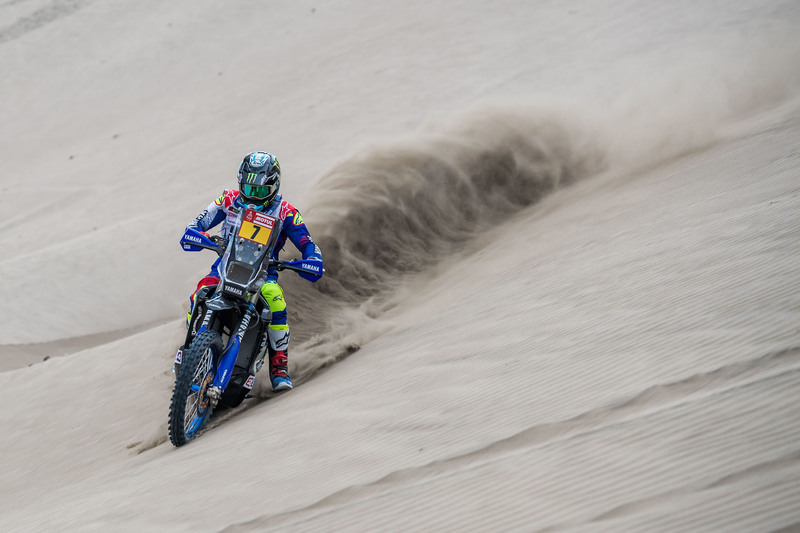 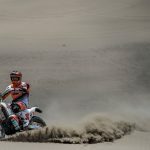 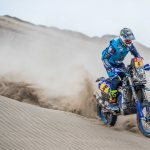 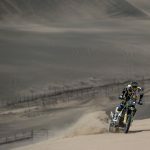 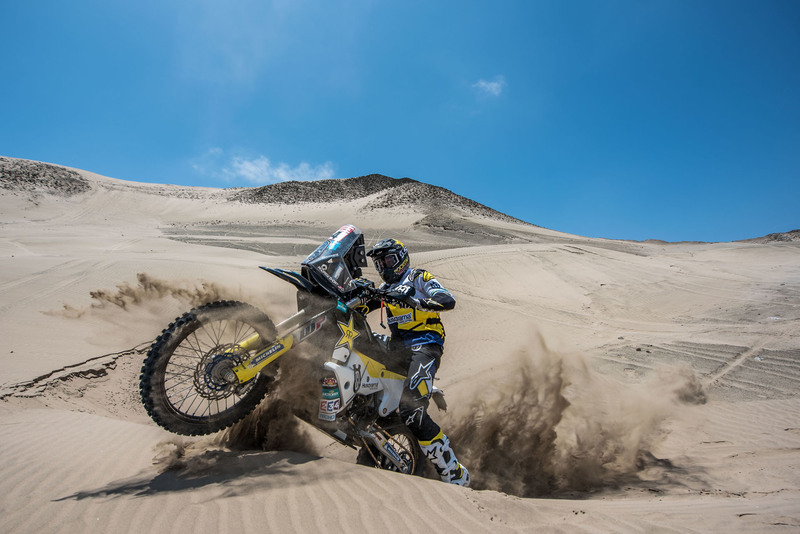 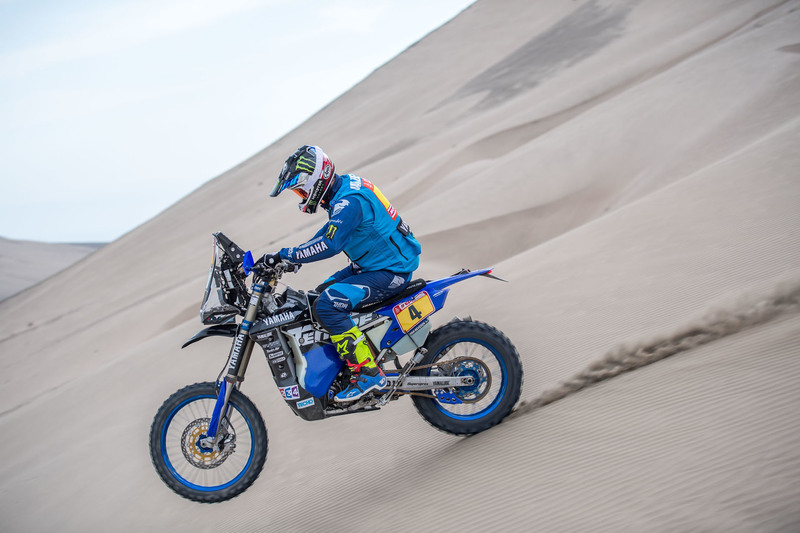 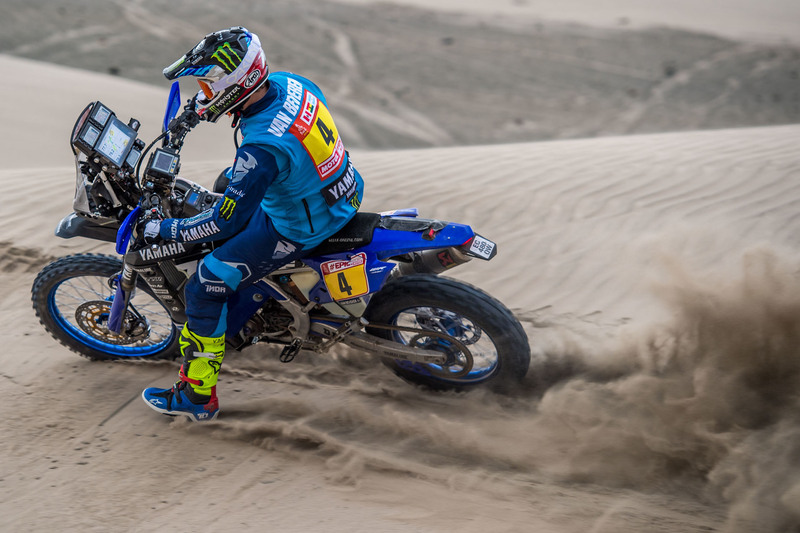 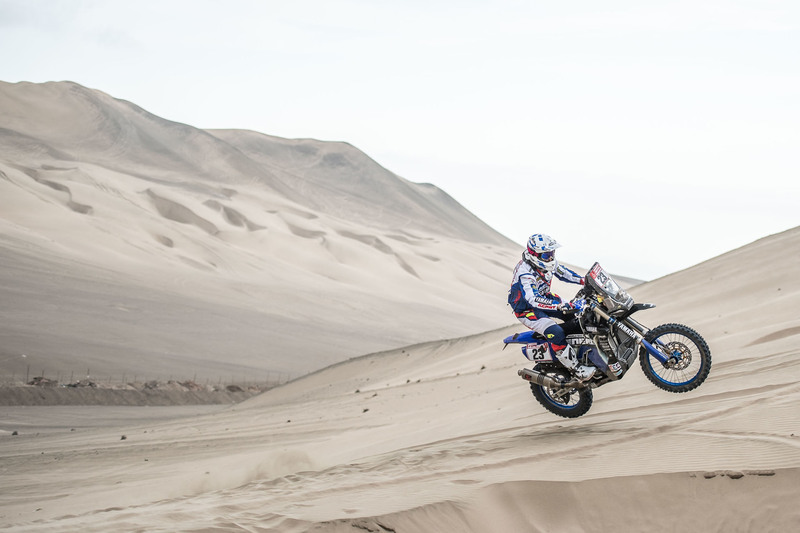 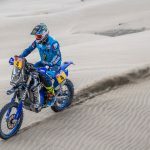 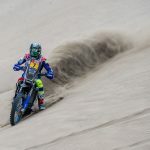 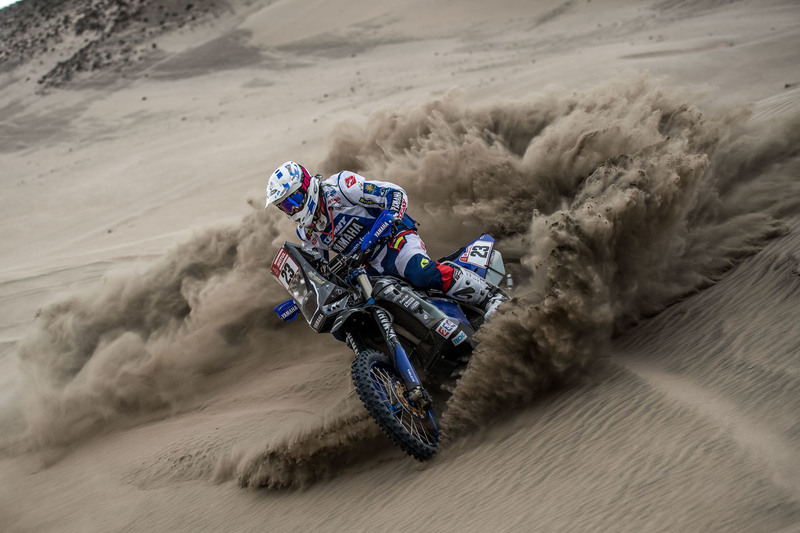 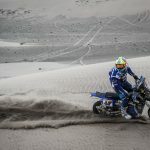 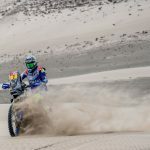 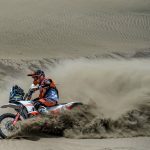 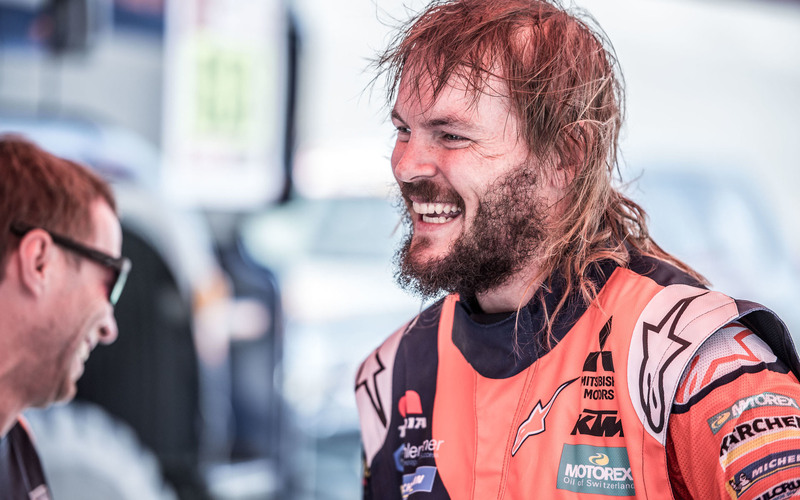 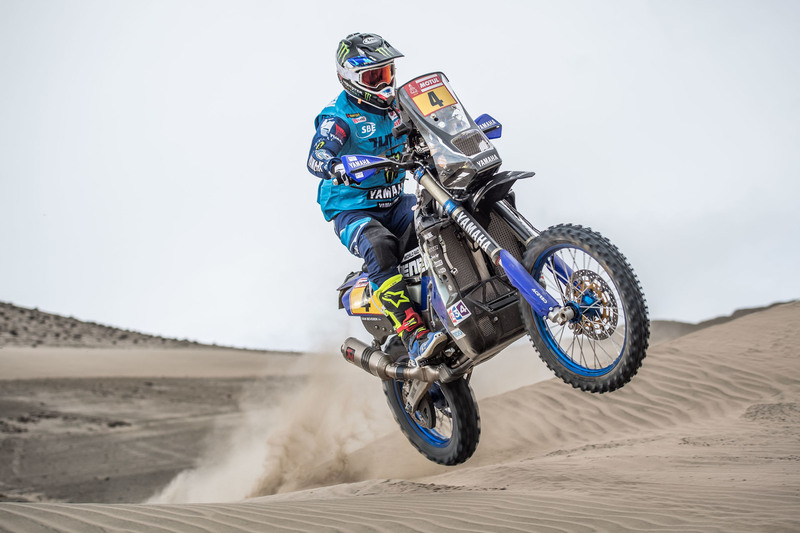 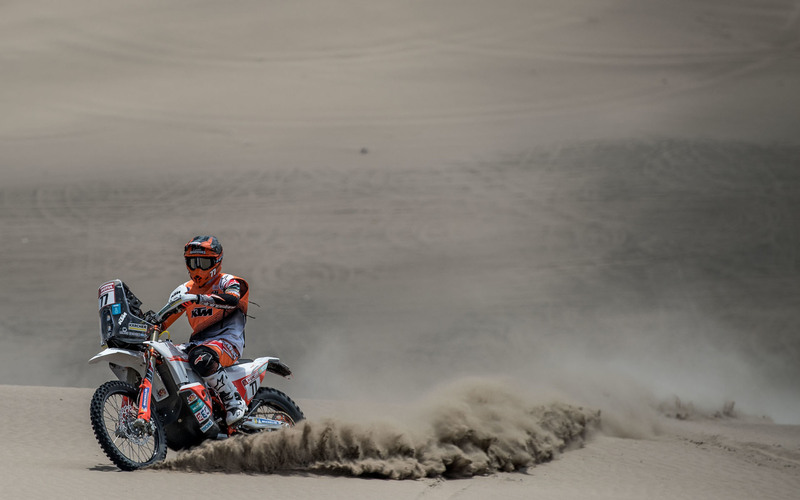 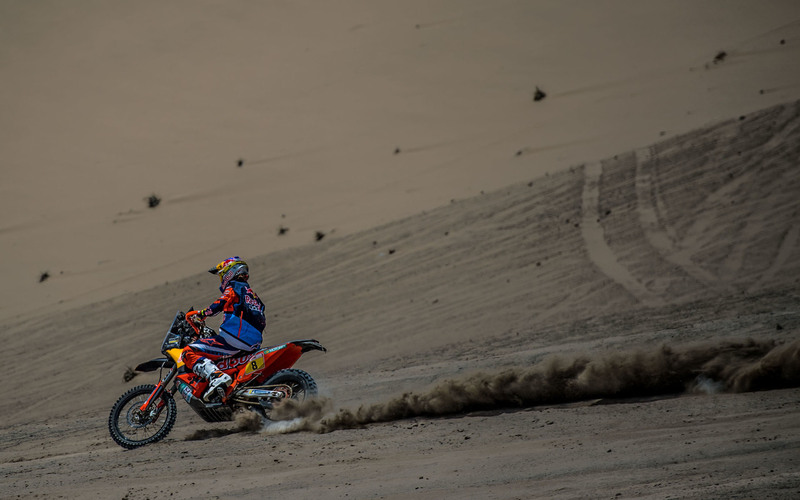 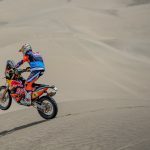 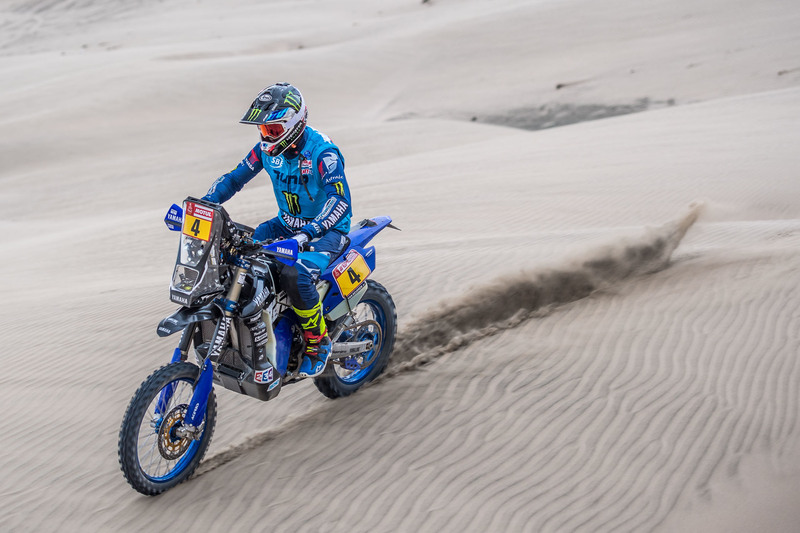 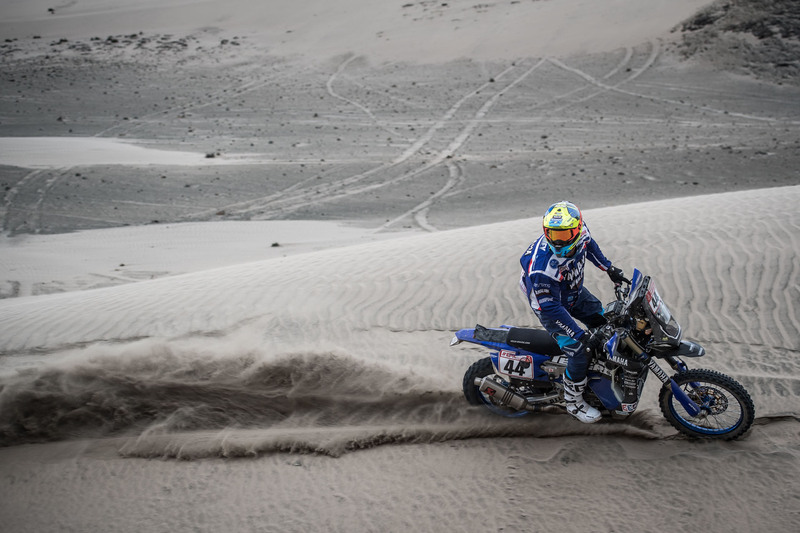 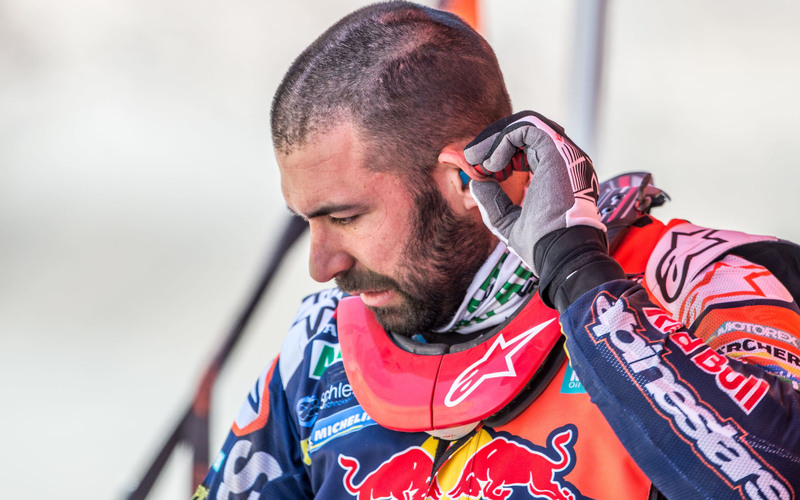 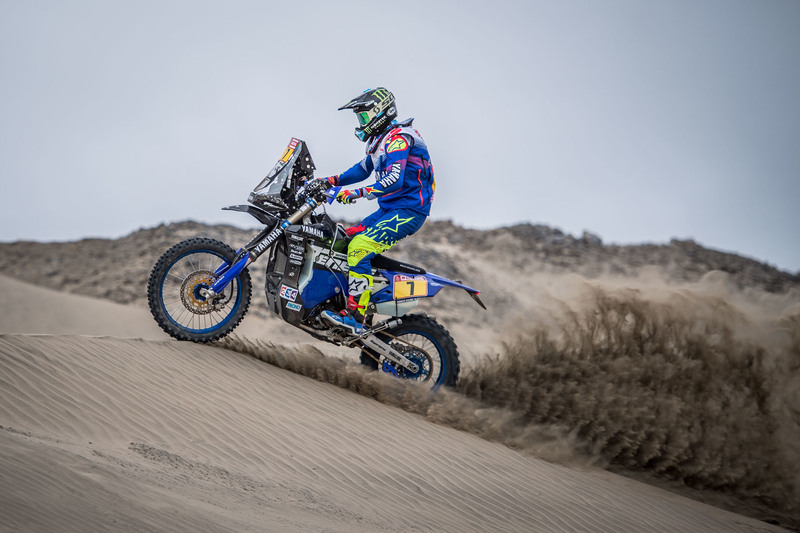 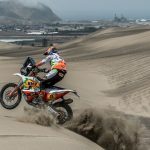 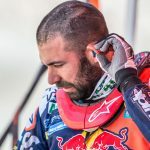 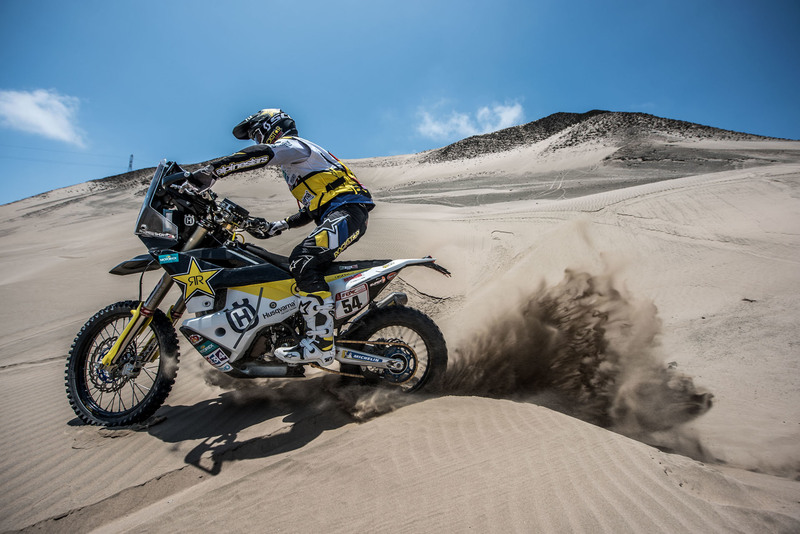 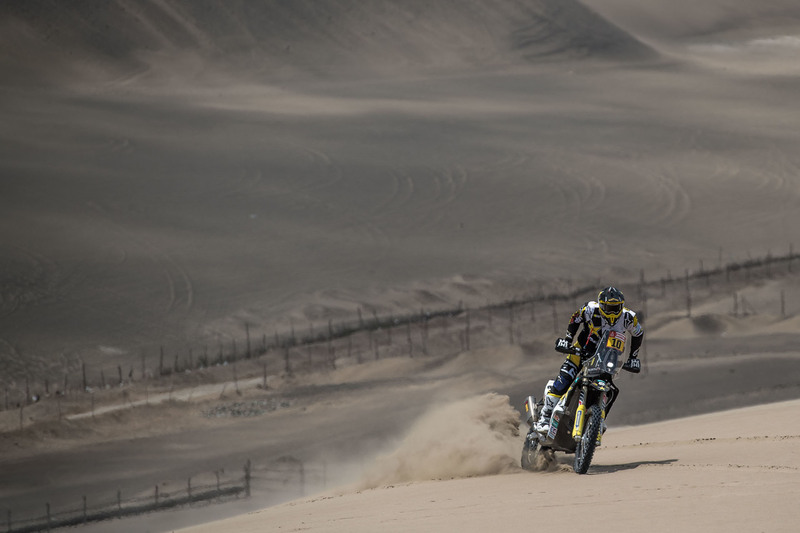 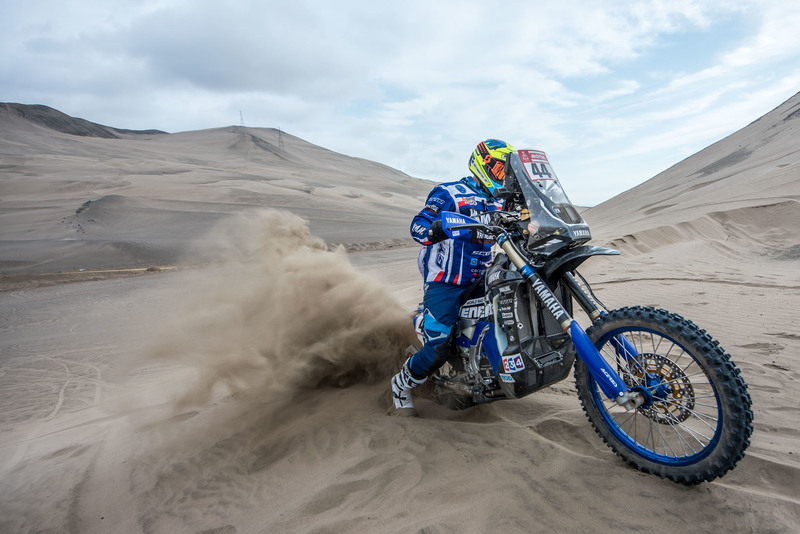 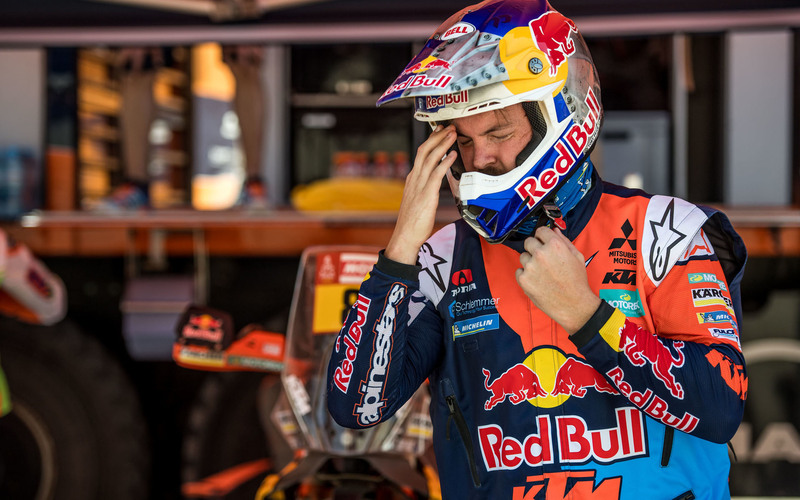 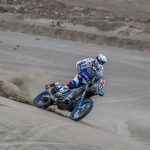 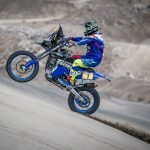 van Beveran will be competing in just his third Dakar, but he’s already a contender, finishing fourth last year and missing out on a podium finish by less than a minute. 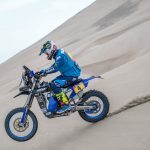 Yamaha’s factory WR450F Rally bikes will sport a special Ténéré 700 World Raid livery.